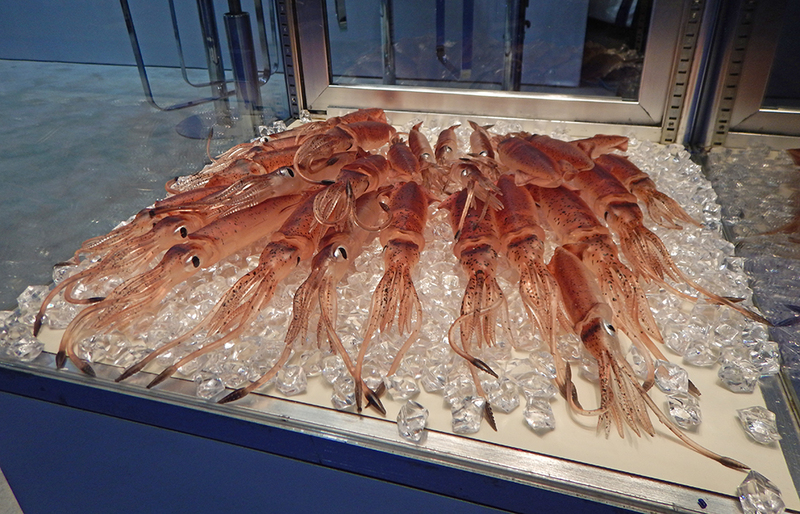 The future of great fishing was found inside. Commander Krik Lippold, USN (Ret.) 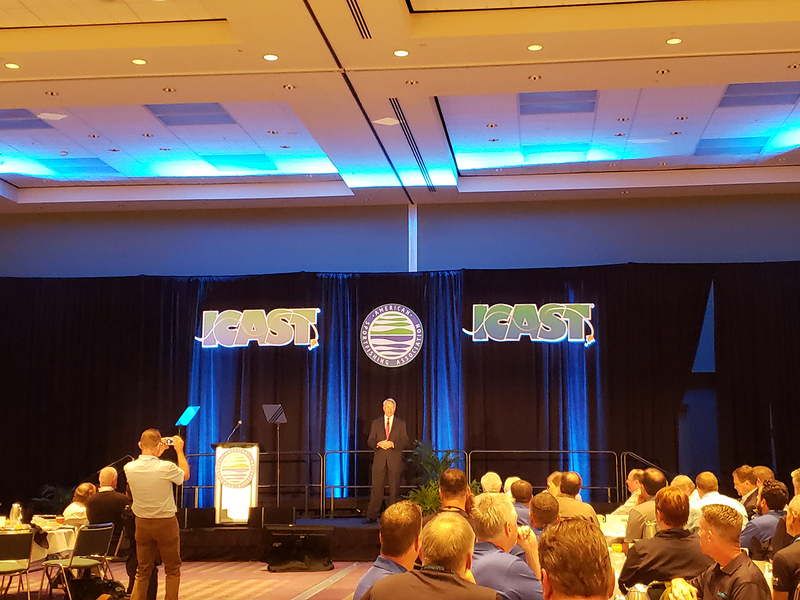 gave a moving talk about leadership. 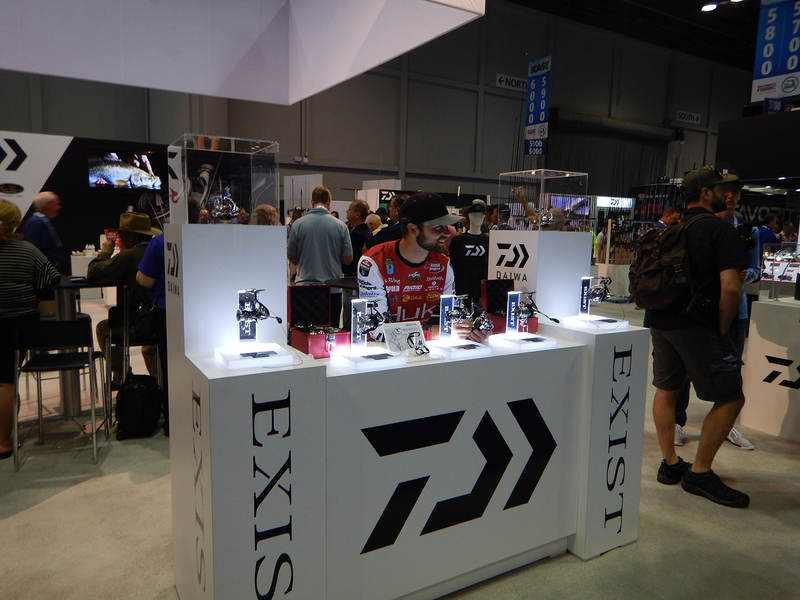 There was plenty of room and lots to see. 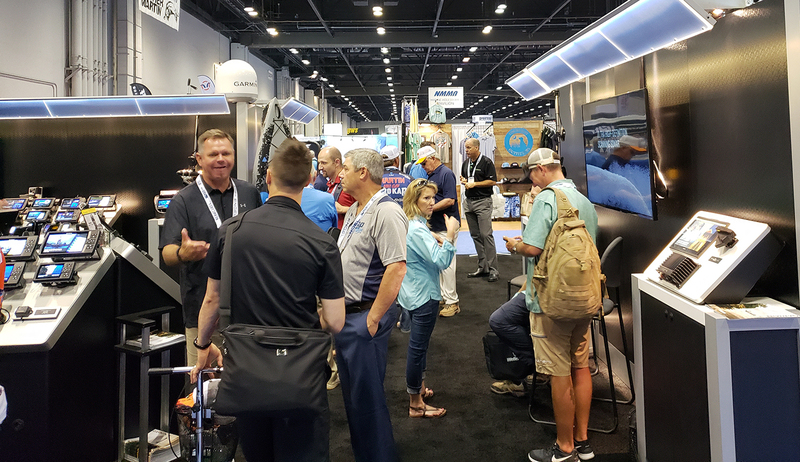 The recent ICAST 2018 trade show in Orlando, Florida was a gathering in the fishing and boating world like none other. 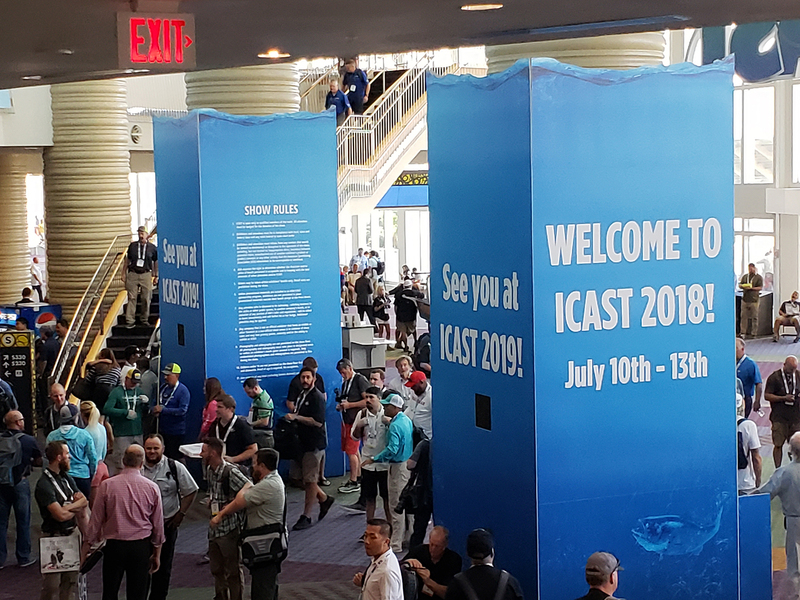 ICAST is the place where both established giants in the fishing industry as well as new start up companies come to “show off” and announce their latest developments and products for the upcoming seasons. 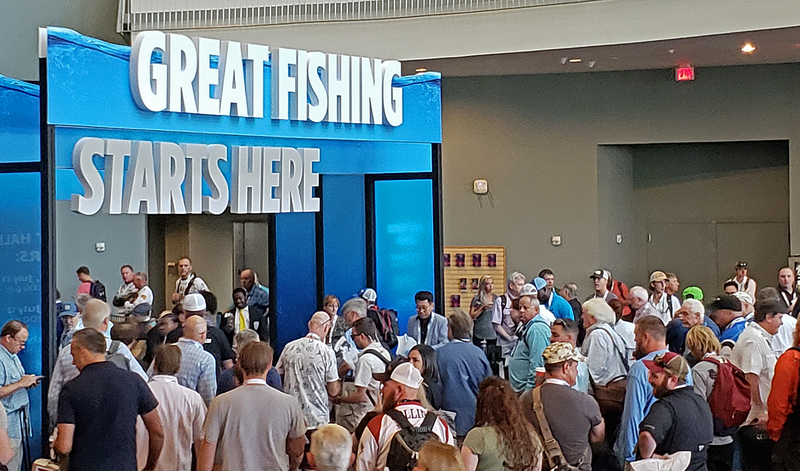 There is so much stuffed into the huge convention center that it is impossible to show it all, but here are many of the highlights and exciting products that will be coming to anglers and sportsmen in the near future. 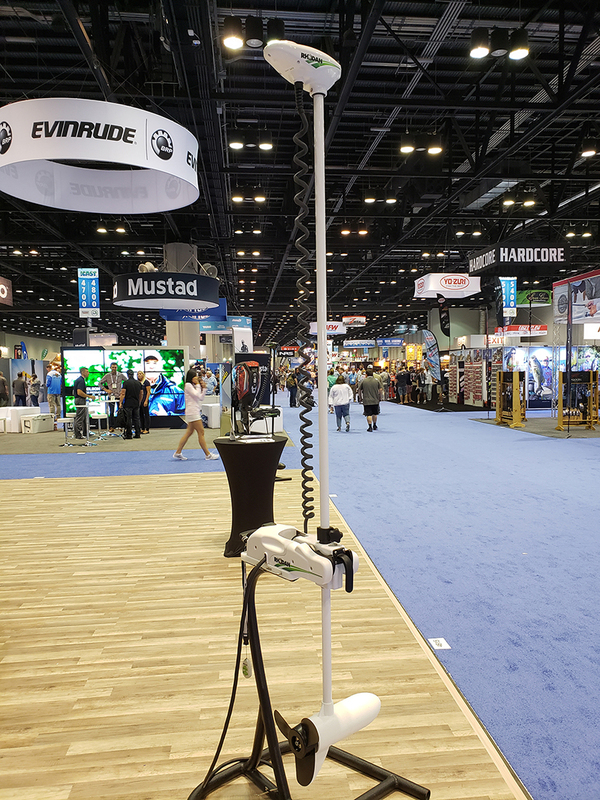 There are so many new lures and prototypes at the show and its fun to ponder how each one could improve your fishing game back at home or on the road. 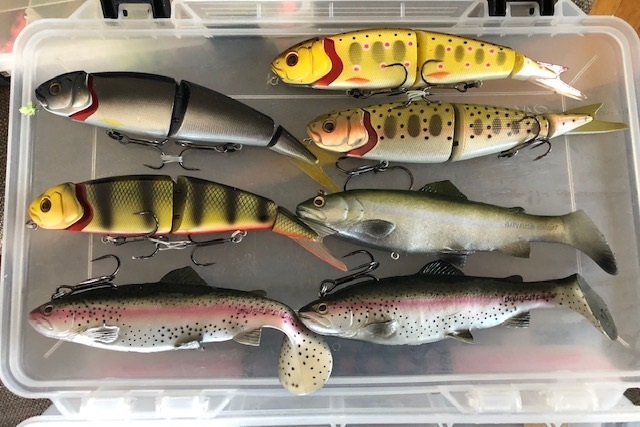 Here are some that caught our eye! 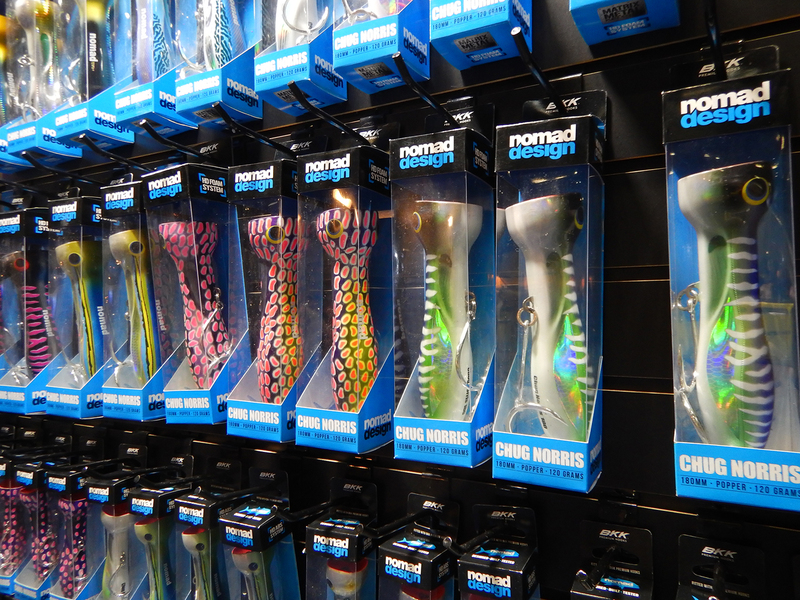 Nomad Design lures are built tough for the Great Barrier Reef. 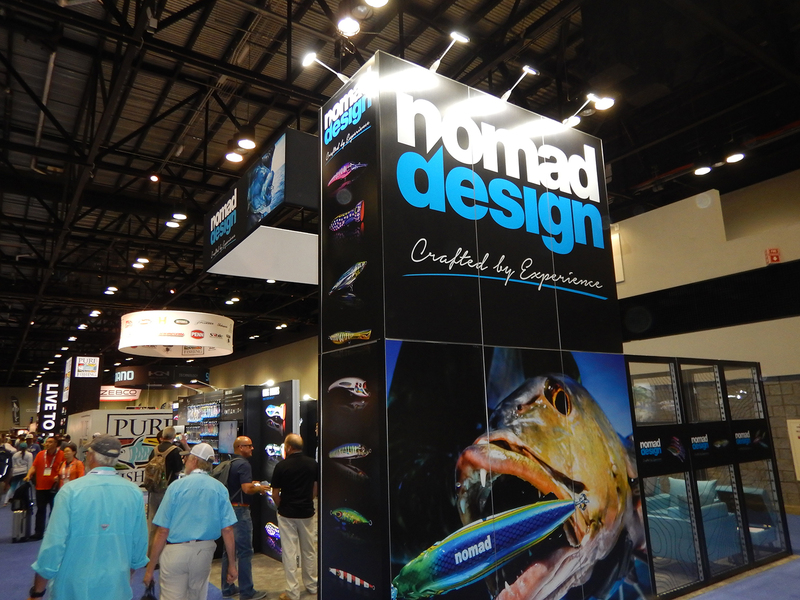 Nomad Design, lures built for all occasions. 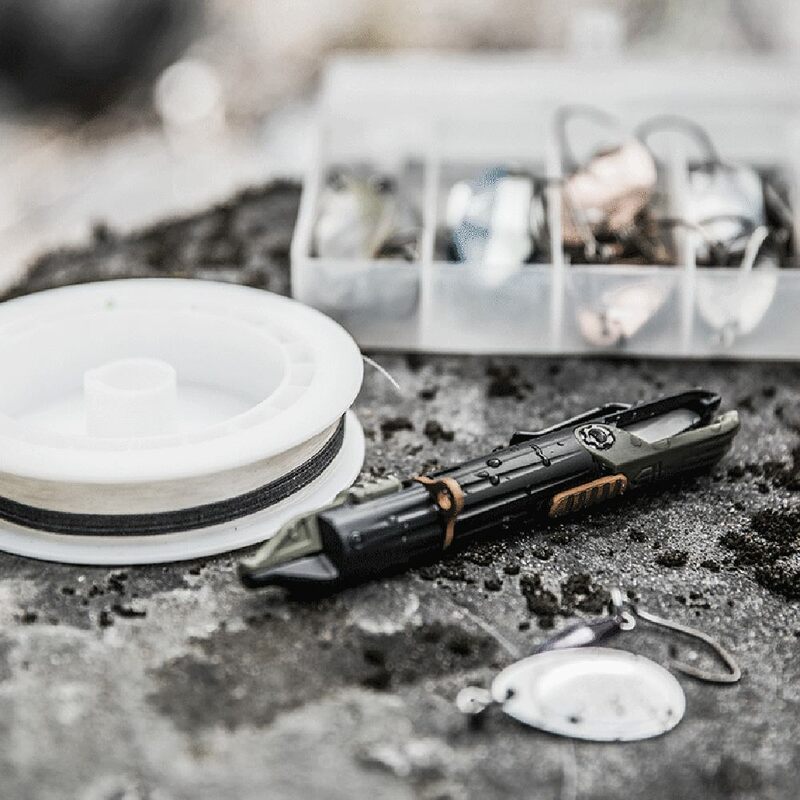 Diving plugs like no other, built to withstand the pressure. 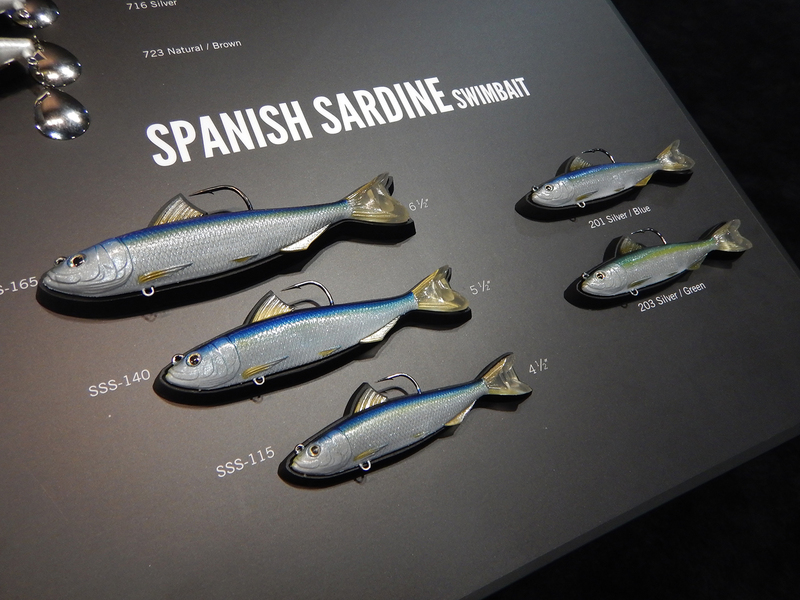 Shimano introduced the new Lucanas Flat Fall jig. 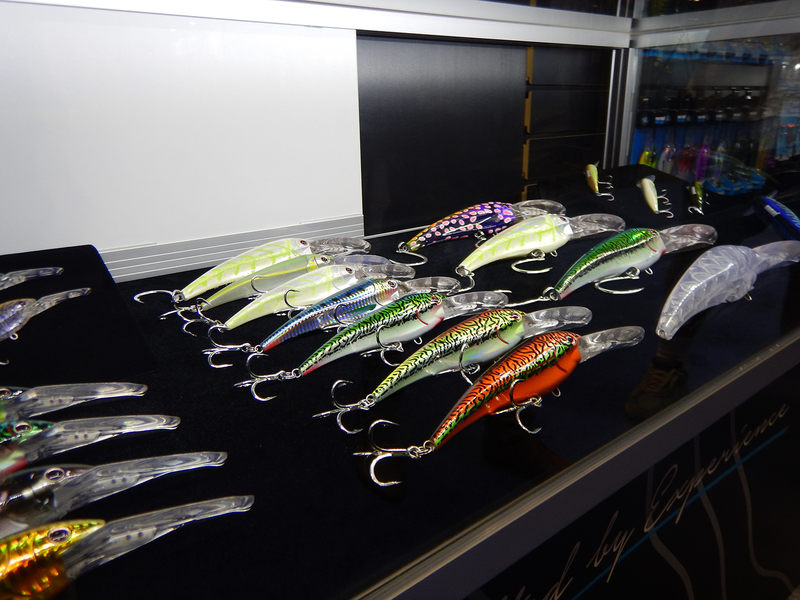 The new Jackal Chop Cut topwater lure. 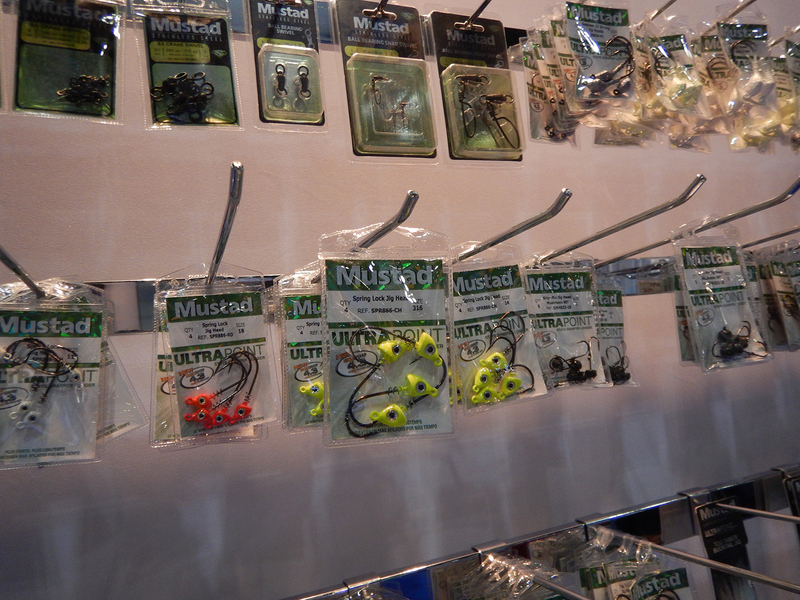 Mustad continues expanding their jig head lines. 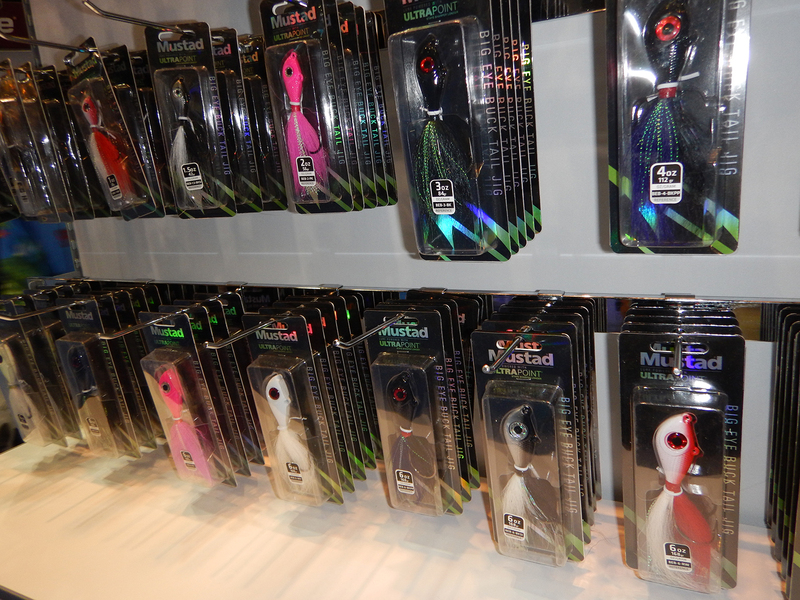 Mustad 's Big Eye bucktail jigs offer quality and good looks. 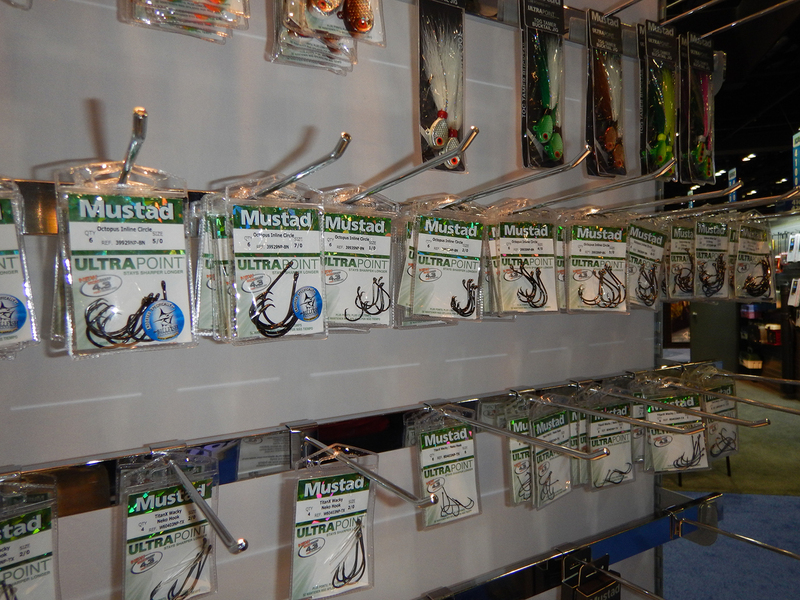 Of course Mustad continues making quality hooks for every occasion. 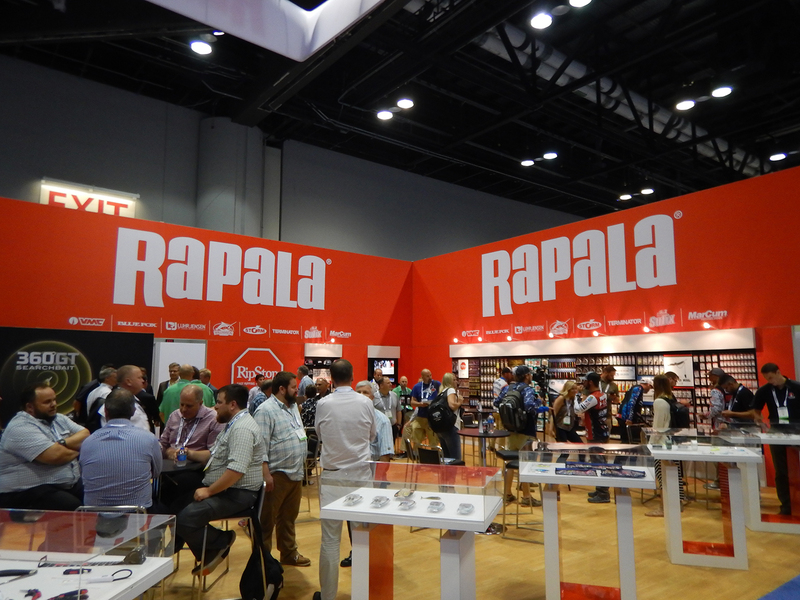 Rapala had their wide range of products on display. 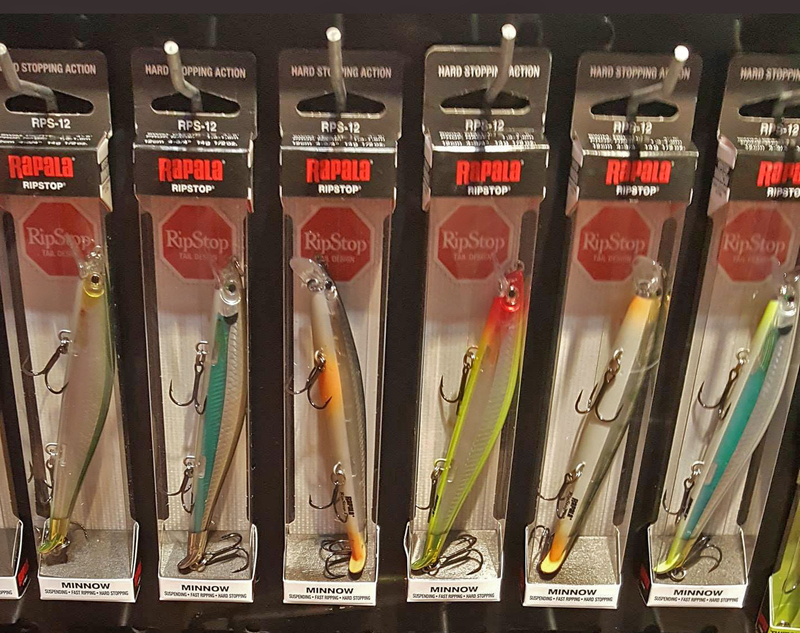 Rapala's Ripstop lures will trigger the bite! 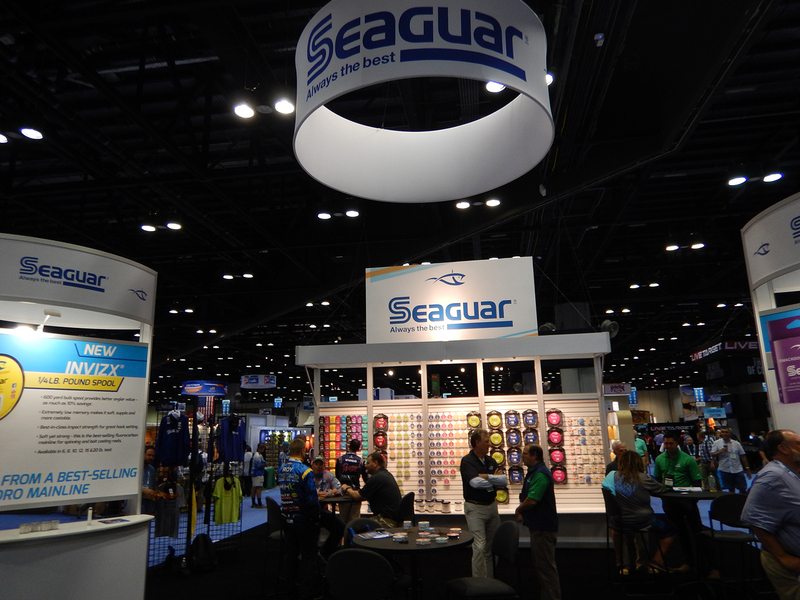 Seaguar, the original creators of fluorocarbon resin make lines and leaders. 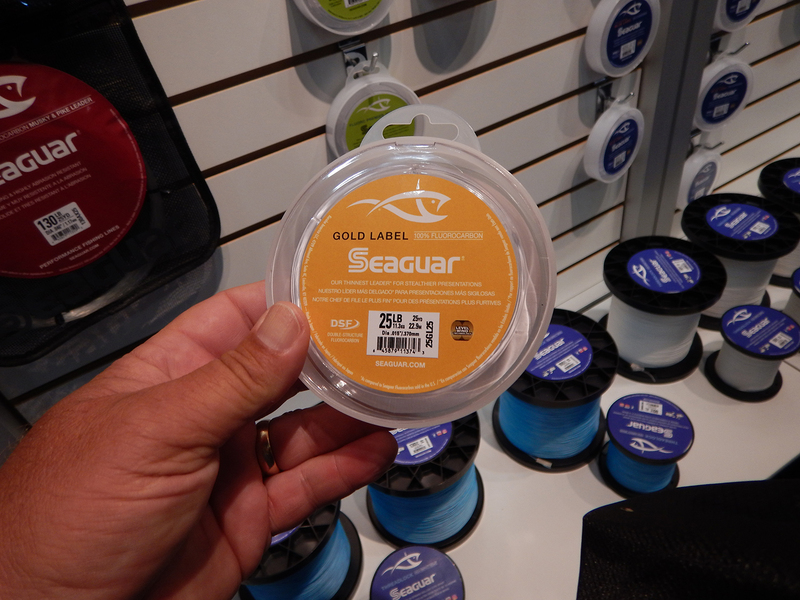 Seaguar Gold Label Fluorocarbon is the pinnacle of small diameter and strength in leader materials. 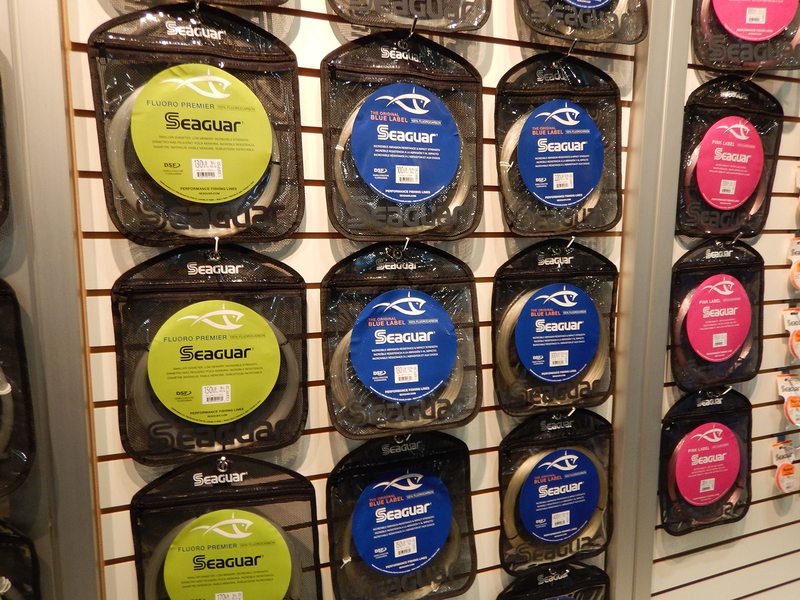 Seguar makes a great product for every application in fishing. 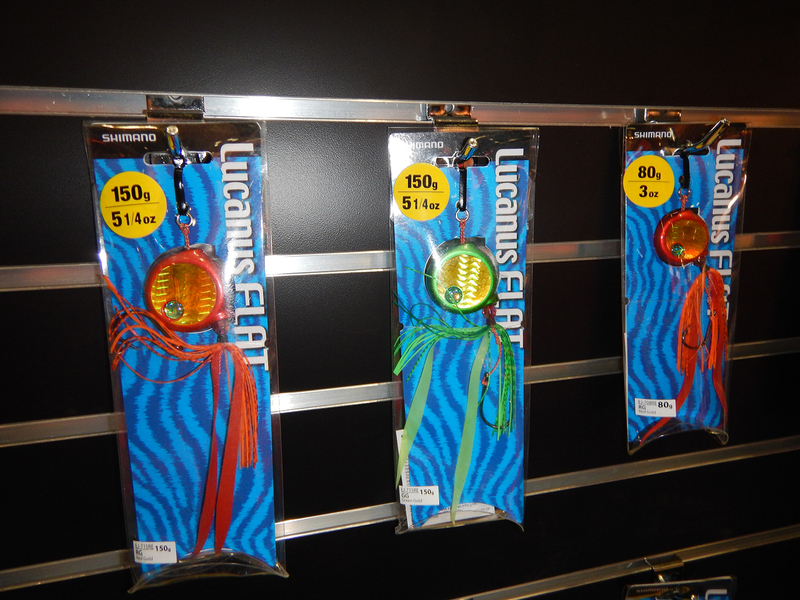 Yo-Zuri had a wide array of lures for every fishery you can imagine. 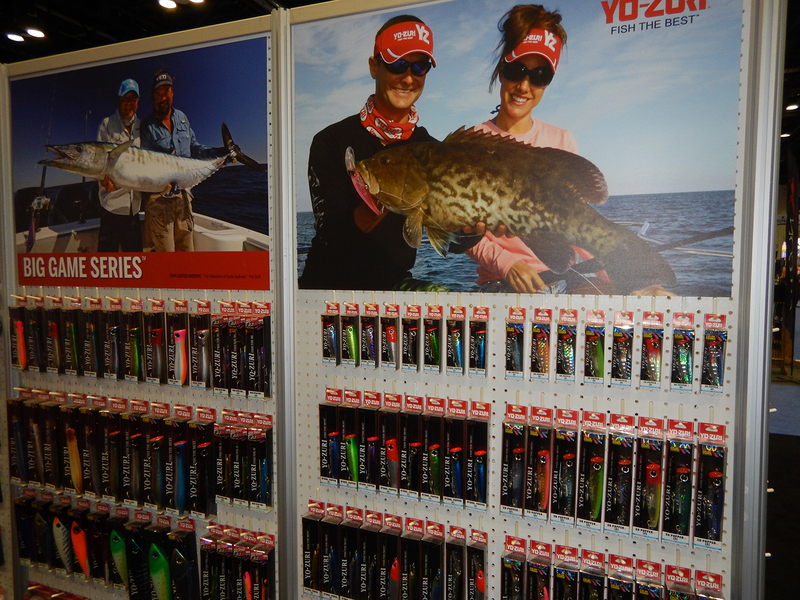 Yo-Zuri also has their TopKnot series of leaders and line. 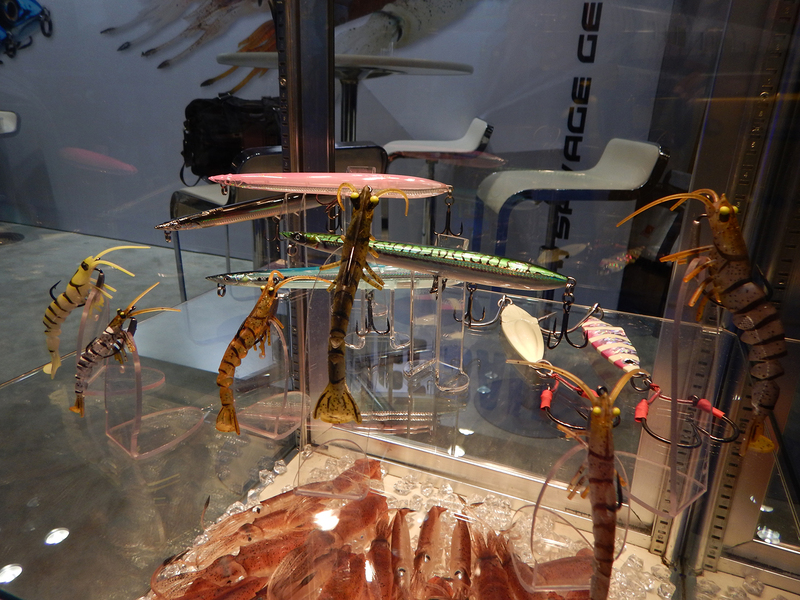 Savage Lures had something for the salty side of fishing with new designs. 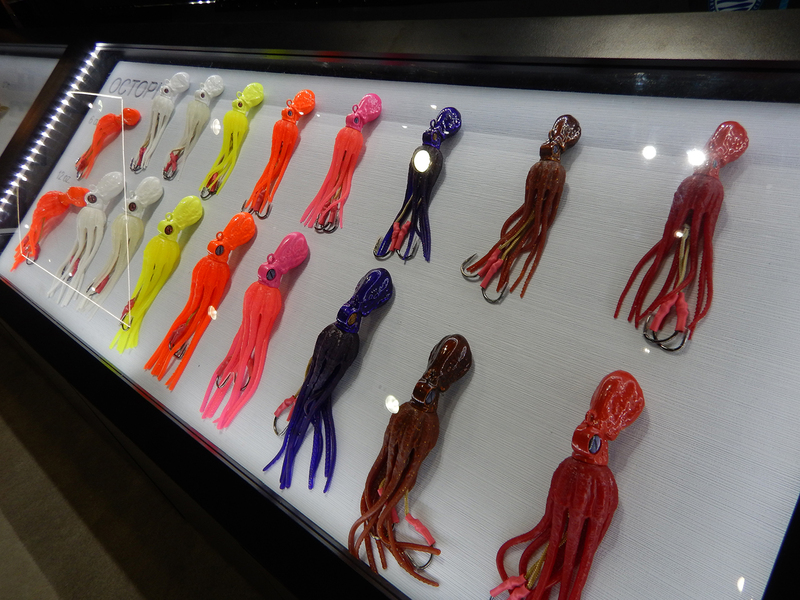 These Savage 3D Swim Squid will blow your mind. 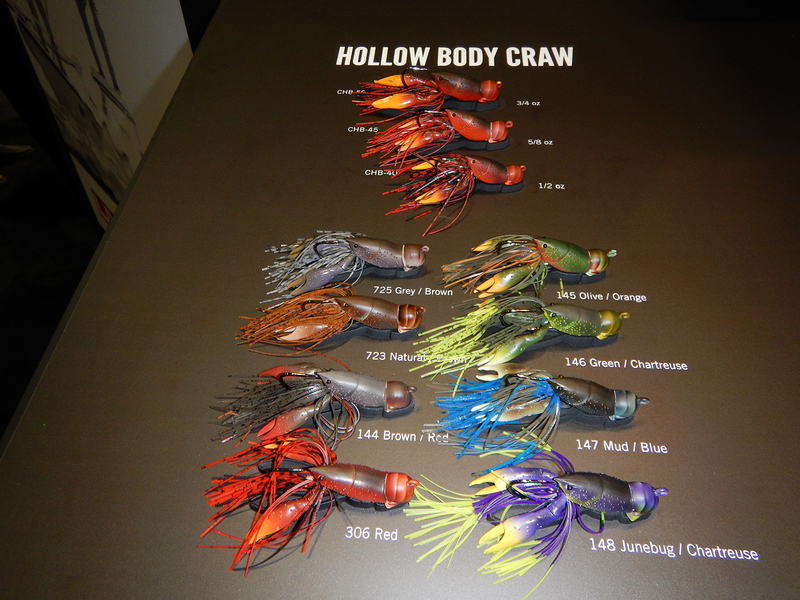 Live Target lures enjoyed an ICAST win with the Hollow Body Crawfish. 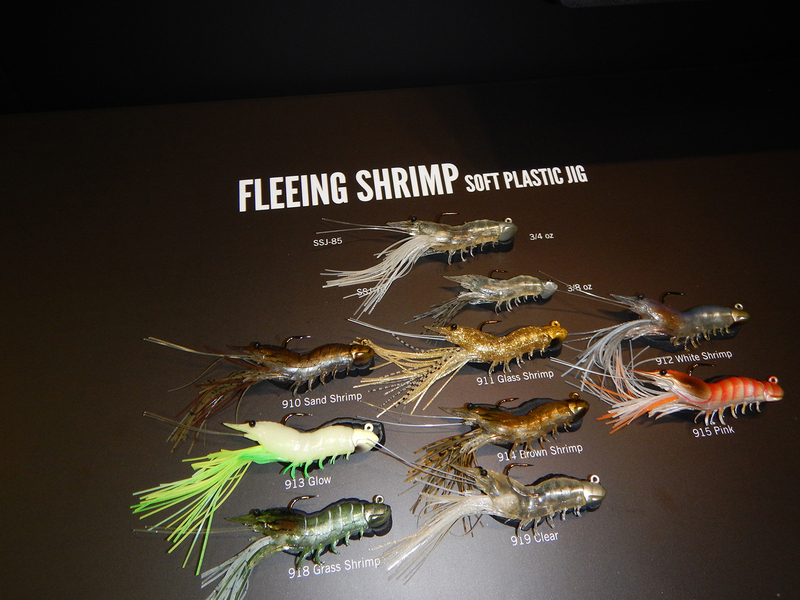 I can't wait to try this one, the Fleeing Shrimp from Live Target Lures. More gumdrops from Live Target. 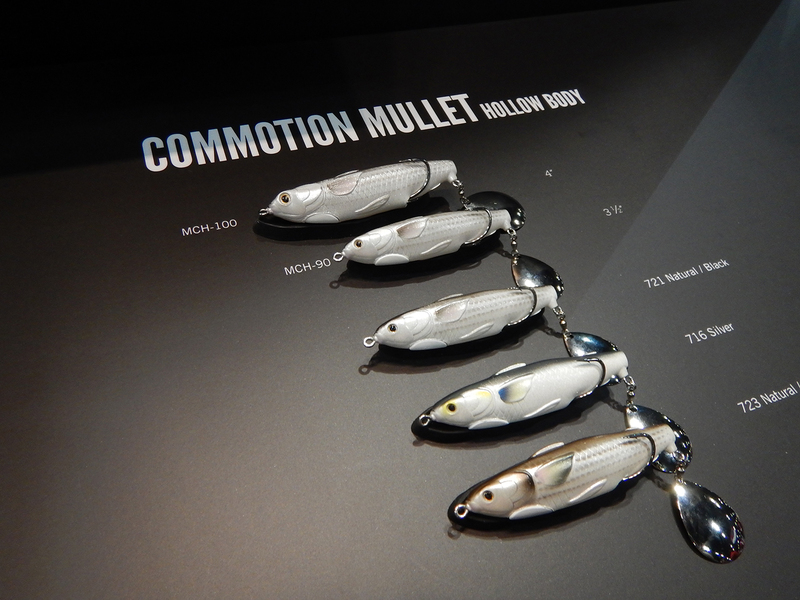 Live Target's Commotion Mullet will get their attention. 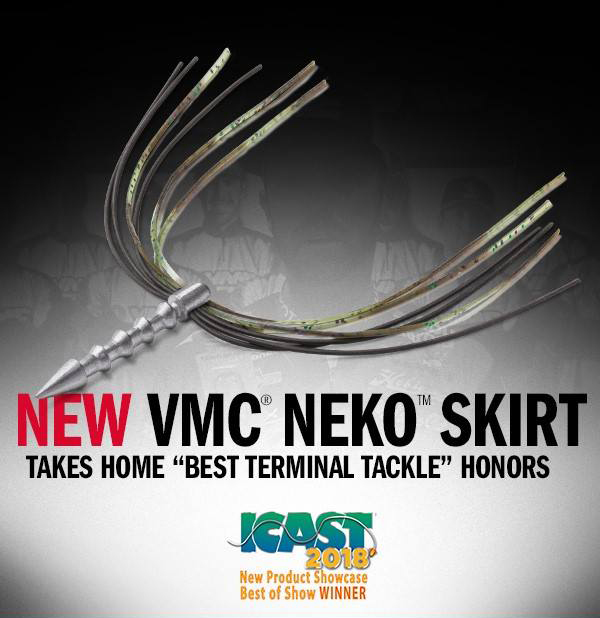 13 Fishing introduced the Octopi lure and won best Saltwater Hardbait. 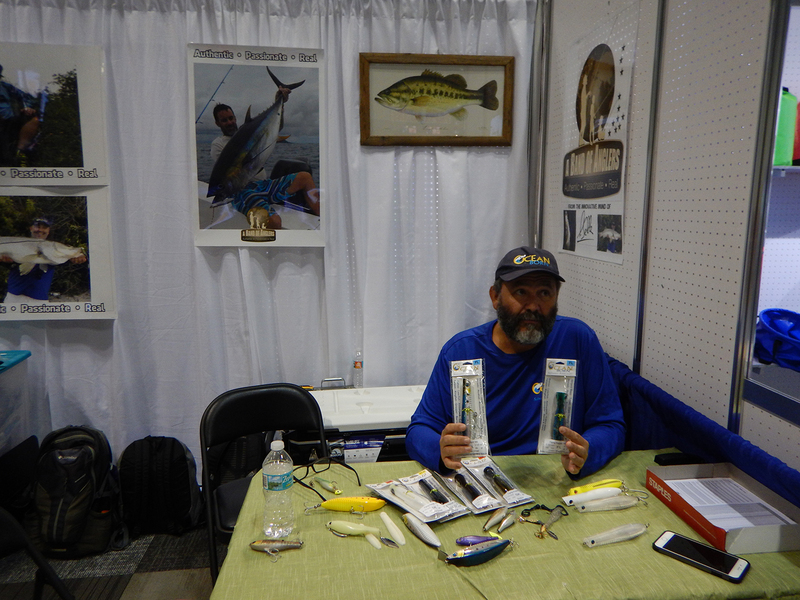 Patrick Sebille introduced his new lure and tackle venture called Band of Anglers. 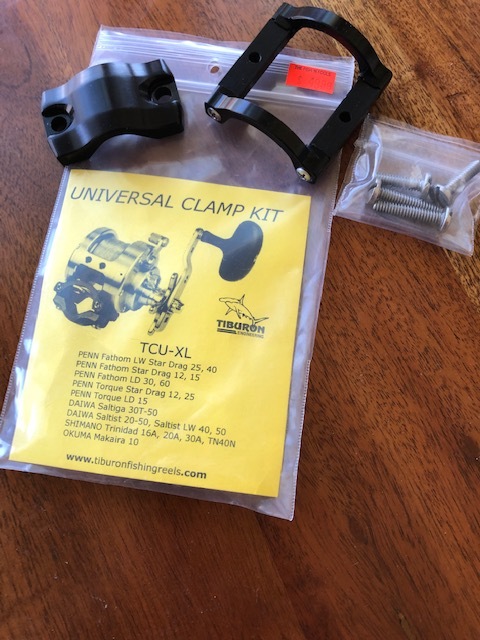 Good stuff to come! 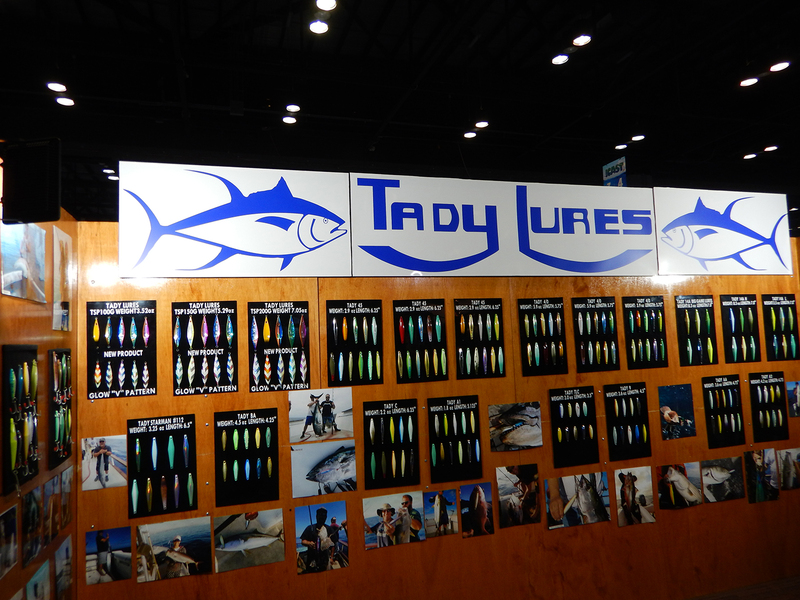 Tady Lures, a staple for West Coast anglers is peaking curiosity in the East! 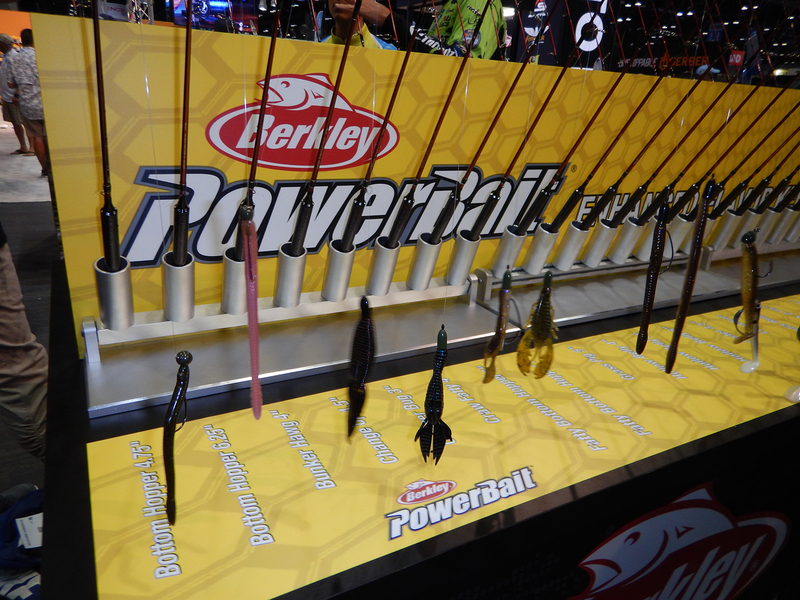 Berkley Powerbaits come in every shape and size. 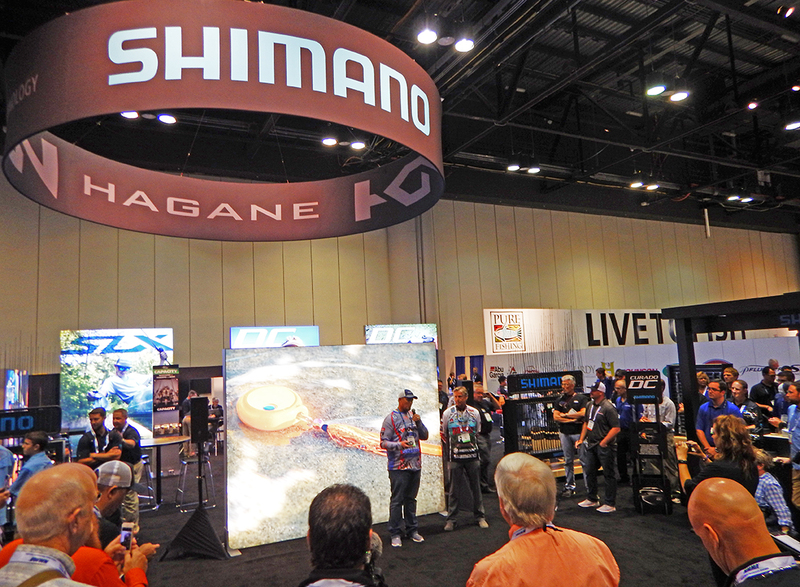 Its a great time to be an angler with so much amazing technology at incredibly moderate price points. 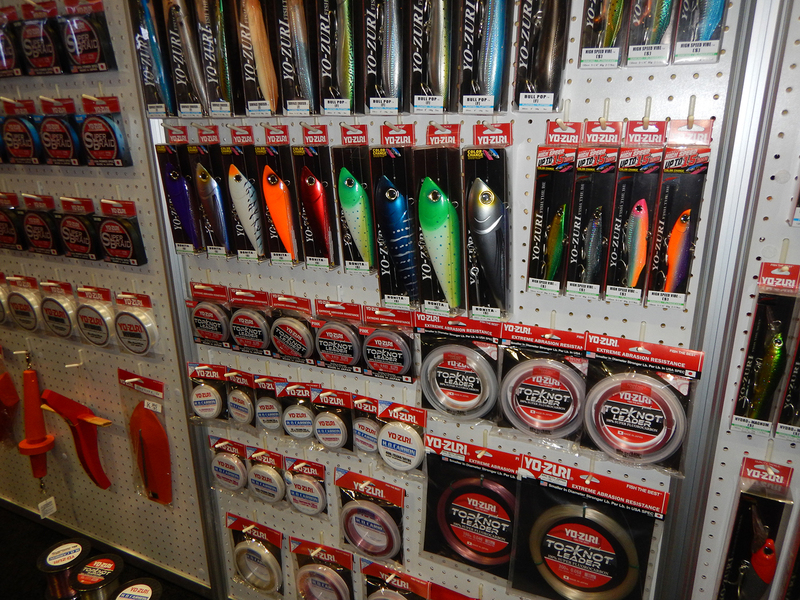 Your fishing budget can go a long way in today’s market and the choices are unlimited. 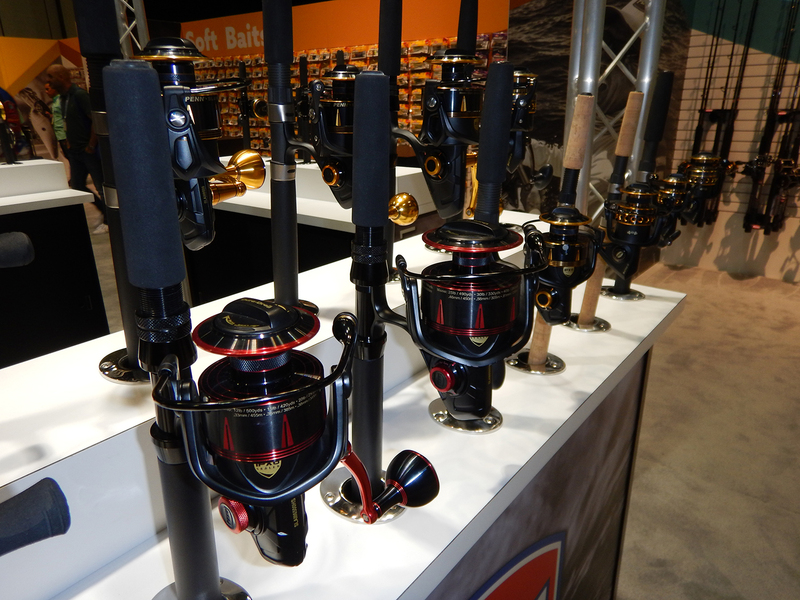 Check out some of the new rods and reels coming out soon. 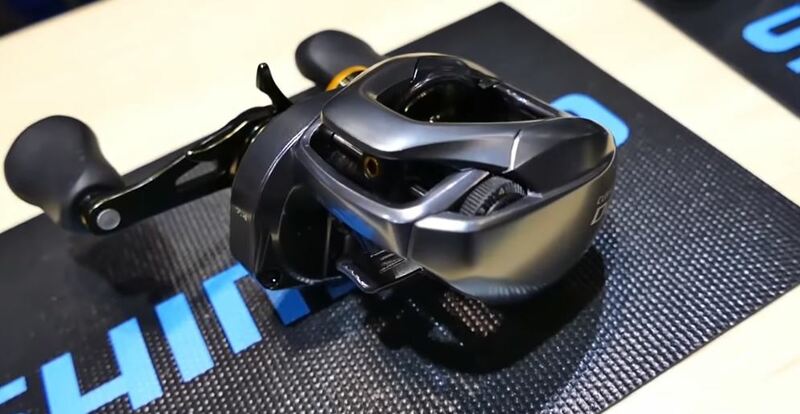 The Okuma Helios SX Baitcast Reel is the latest addition to the deep lineup of Helios. 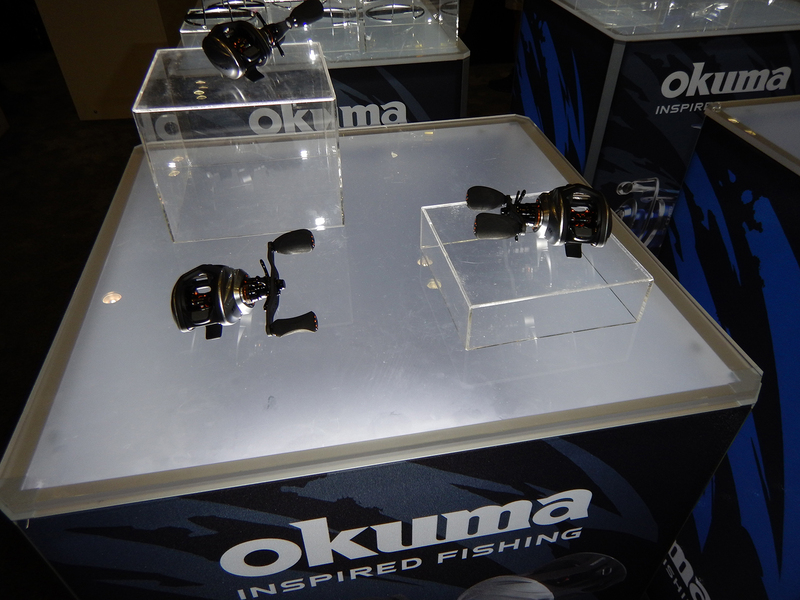 The Okuma Surf-8K long casting surf spinning reel. 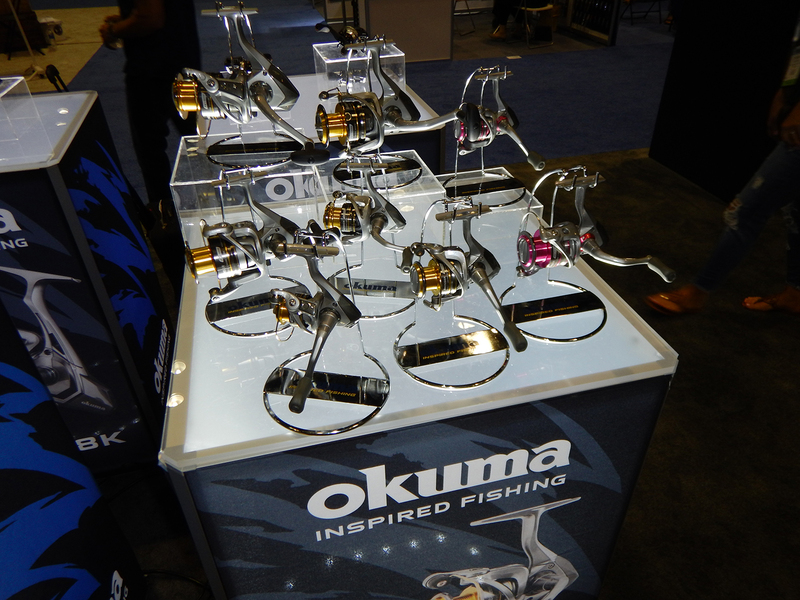 Okuma introduced a pile of great new reels for the upcoming season! 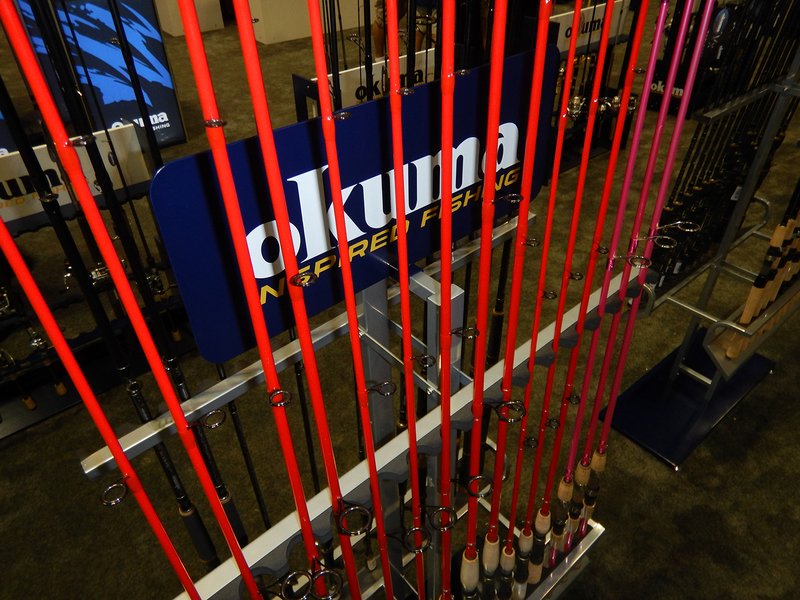 Okuma introduced the Ricky Red Signature Series of inshore rods. 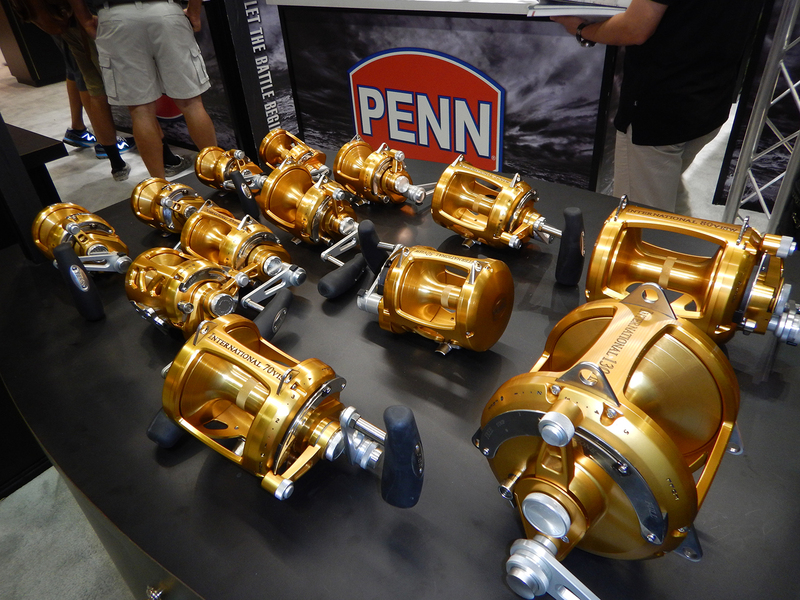 Penn's Slammer 3 comes in two gear ratios to match your needs. 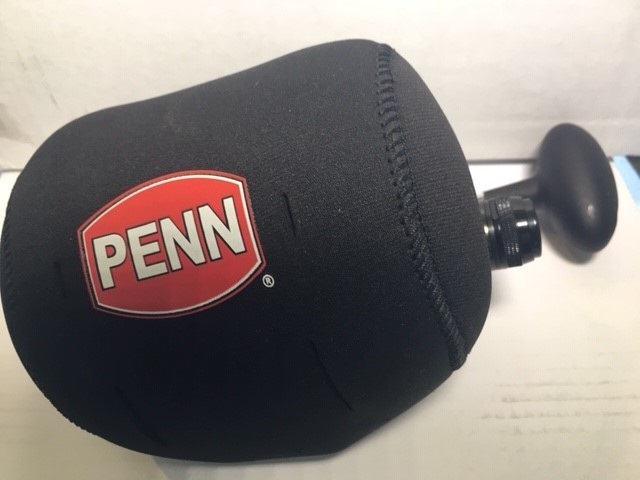 Penn's gold standard, the International trolling reel. 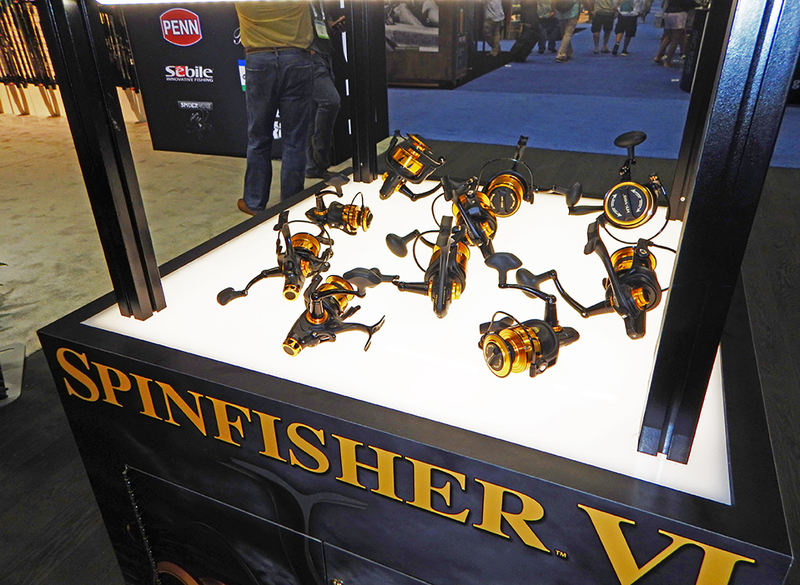 Penn's full line of Spinfisher VI in all sizes. 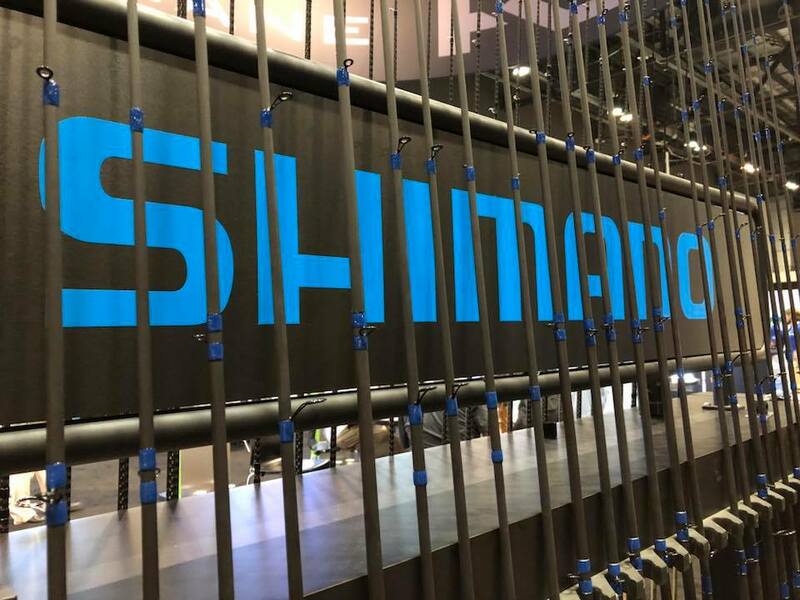 Shimano rolled out lots of amazing new products for 2019. 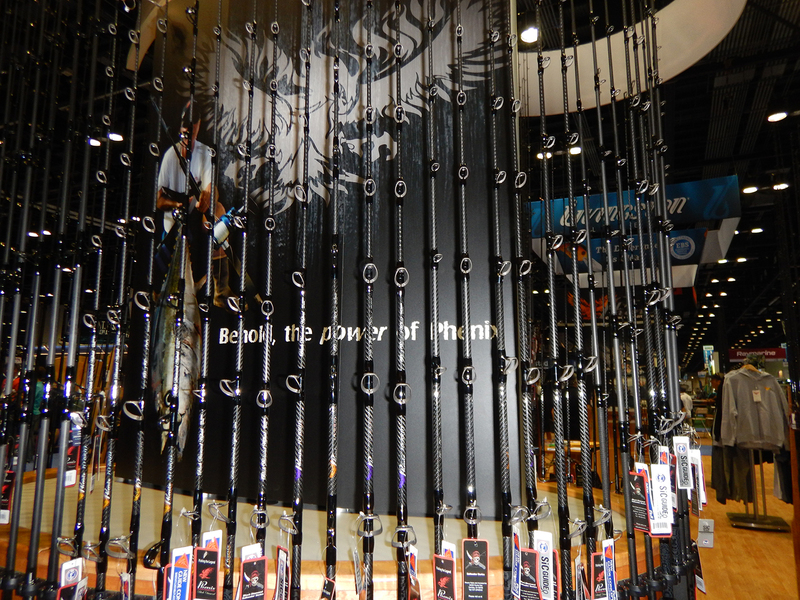 A wide variety of rods and reels took center stage. 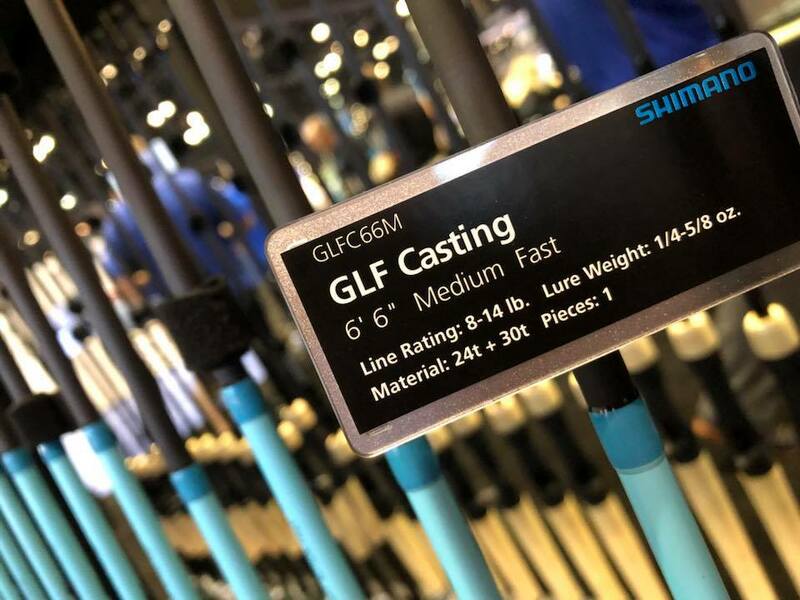 GLoomis new GLF series made a splash too. 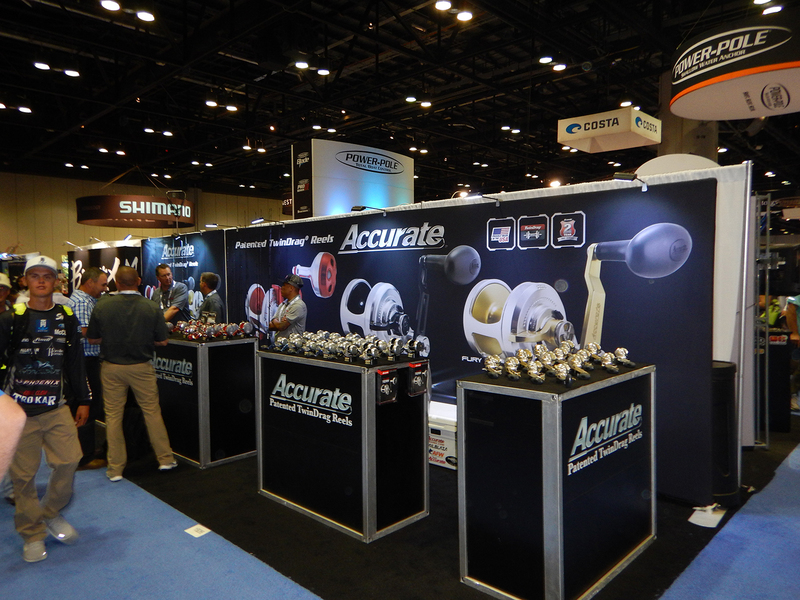 Accurate Reels had the full selection including the newest. 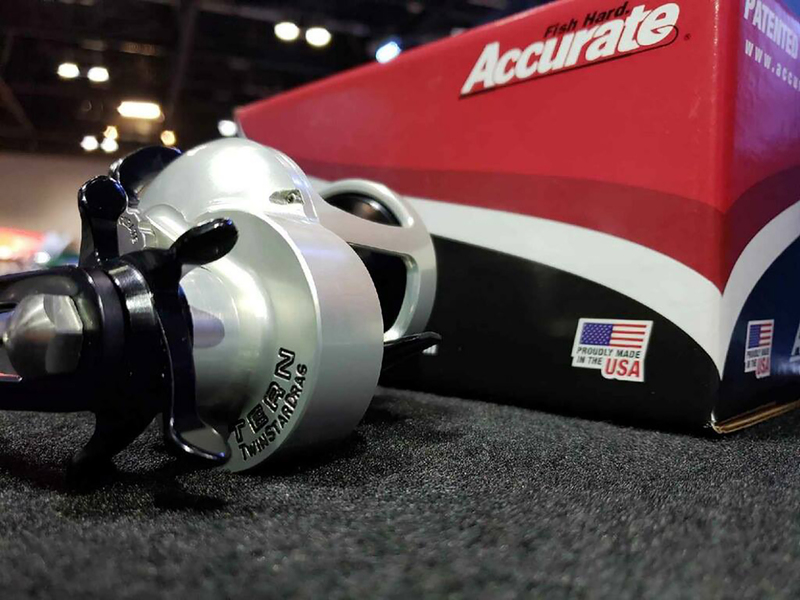 Accurate was excited to introduce the Tern, star drag reel. 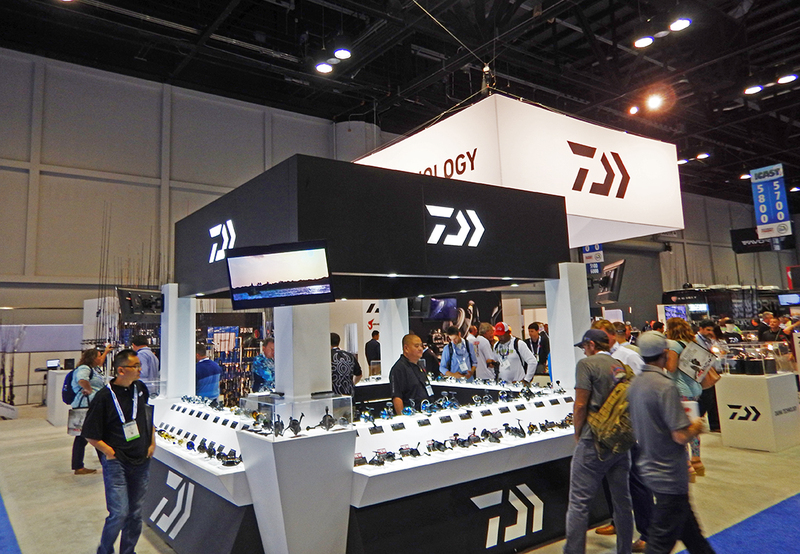 Daiwa had their full lineup for fresh and salt water anglers. 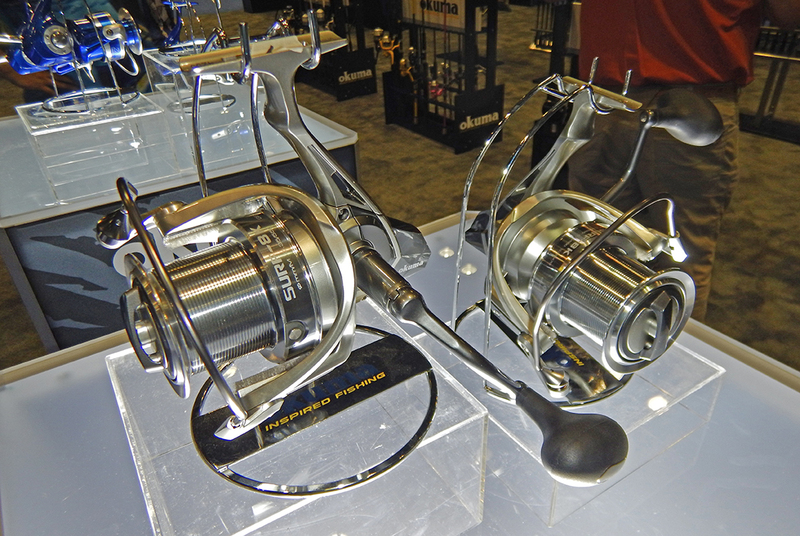 Daiwa pros introduced the new Exist spinning reel. 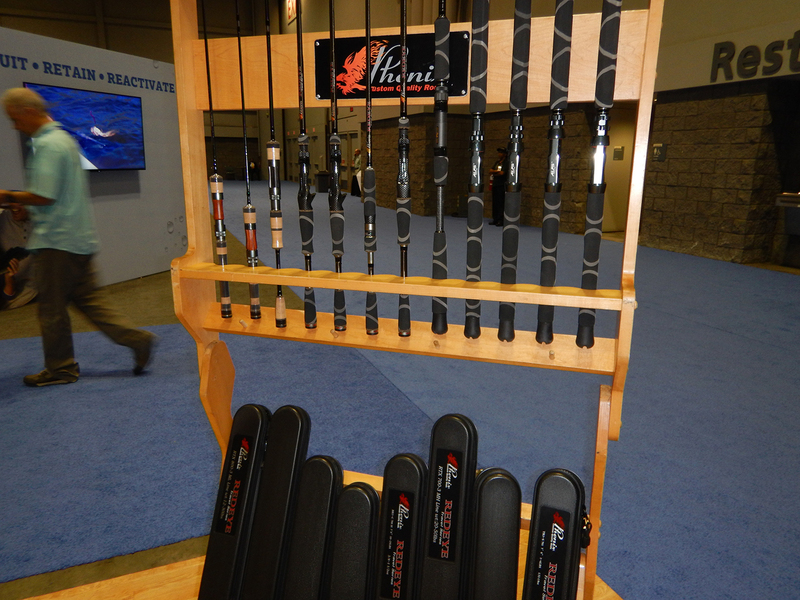 Phenix rods offers custom quality and function specific rods. 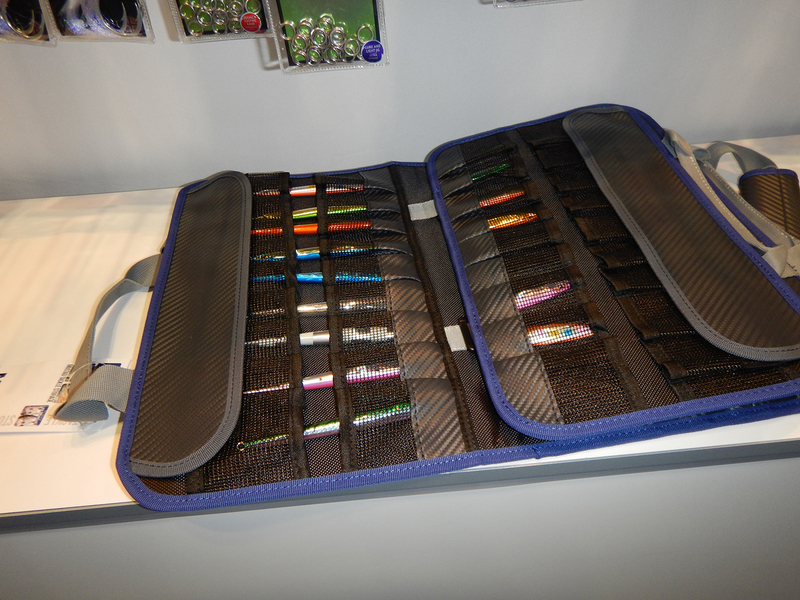 The Redeye travel rod series lets you take quality on the go. 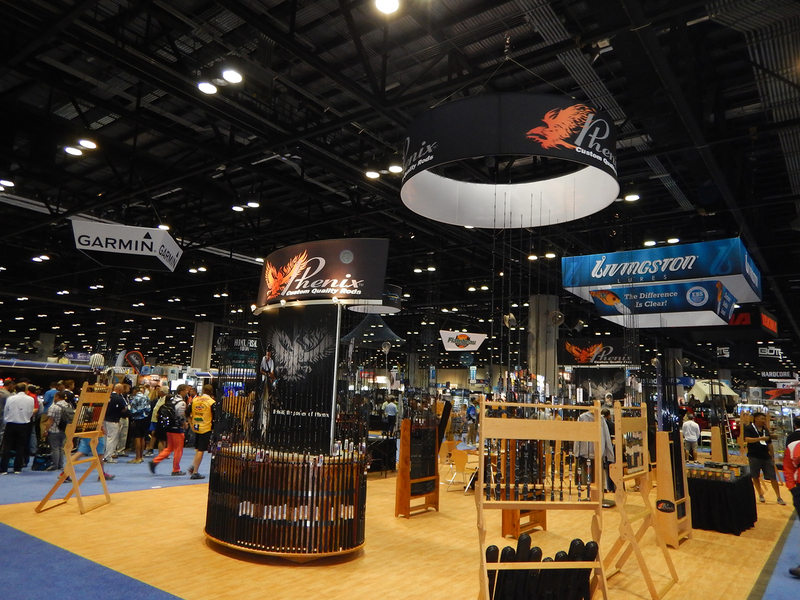 There is a Phenix rod for every occasion. 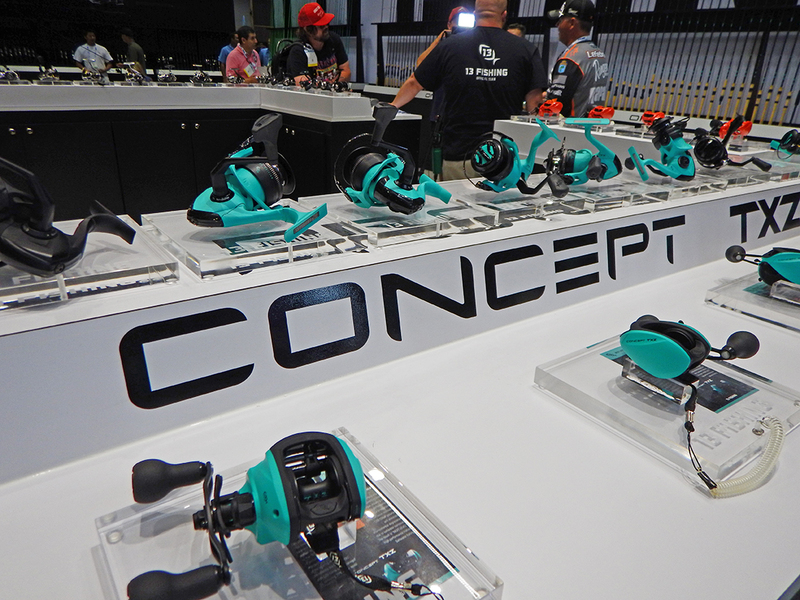 13 Fishing's Concept baitcasters are just one of their popular reels. 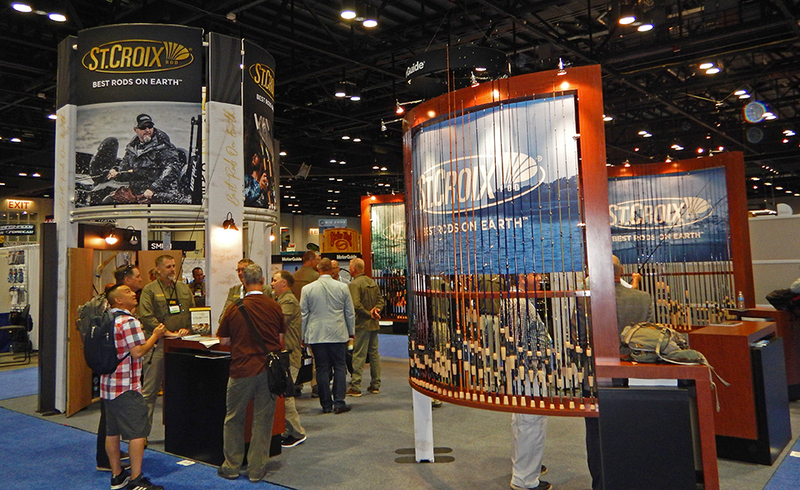 St. Croix Rods have been making quality rods for decades. 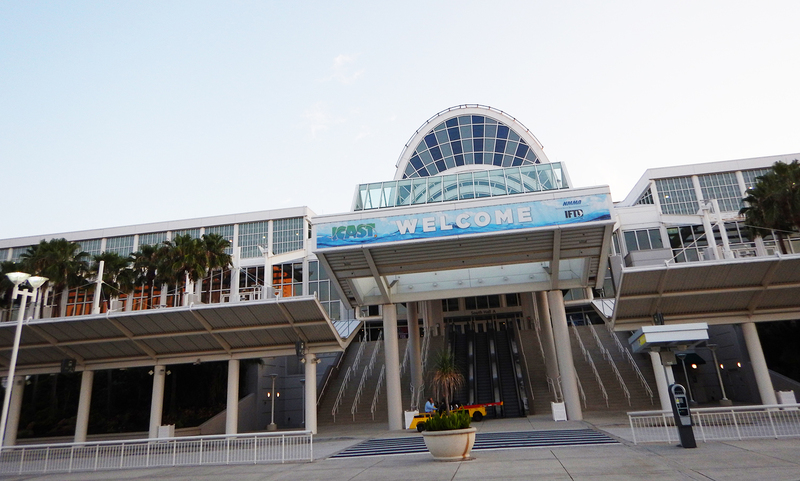 The main goal at ICAST is for companies to introduce their new and upcoming products for the following retail season. 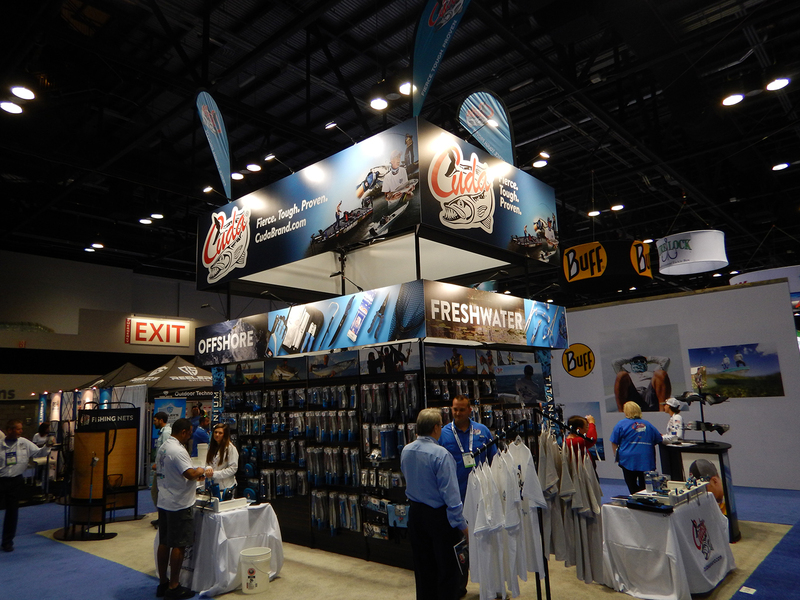 It is a fast paced race to innovate and fine tune the latest fishing and outdoor products. 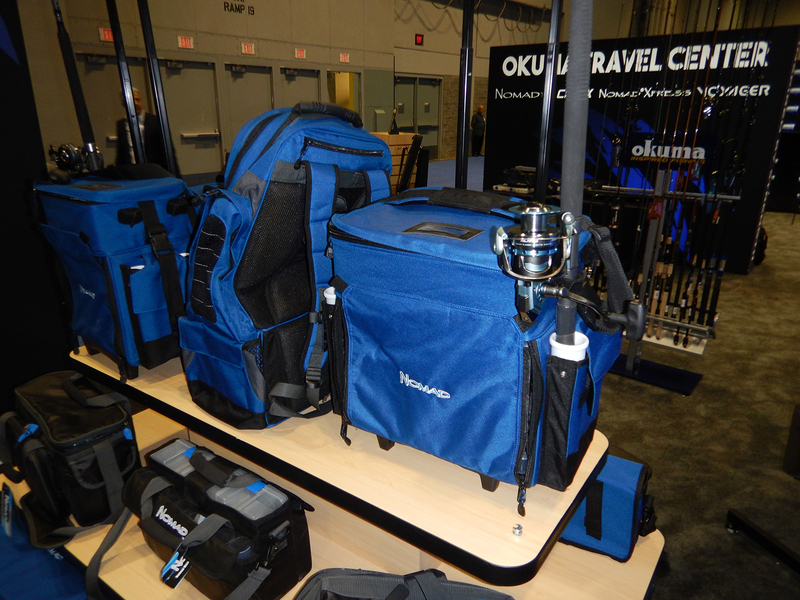 Nomad offers lots of travel options for tackle bags and accessories. 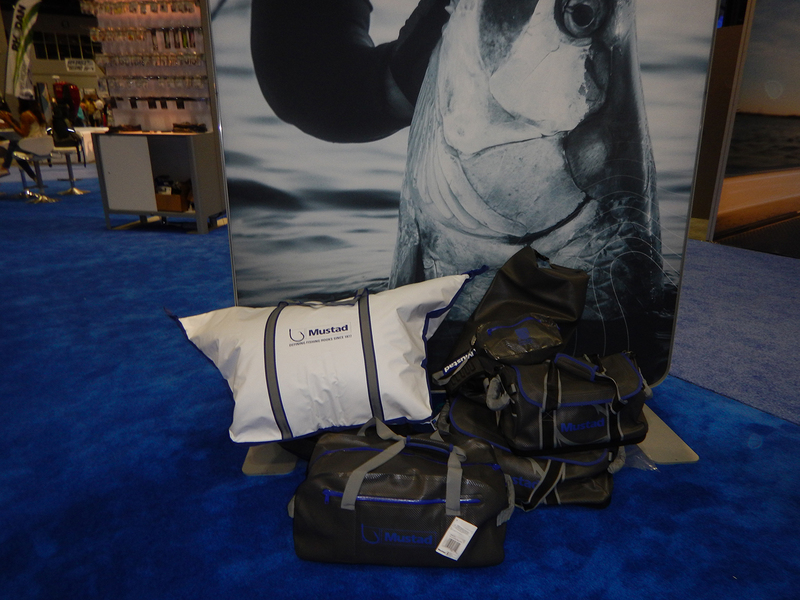 Mustad now offers a lineup of insulated fish bags and tackle bags. 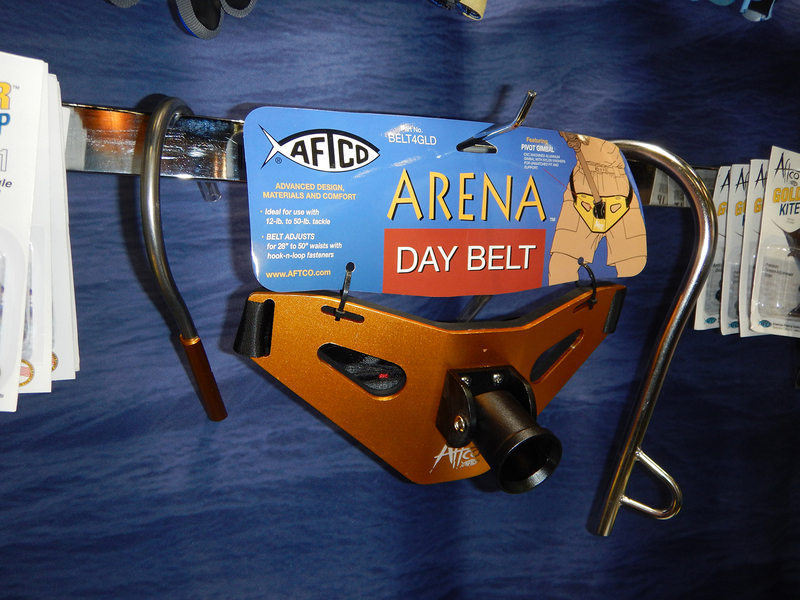 AFTCO continues to raise the bar with innovative fish fighting accessories. 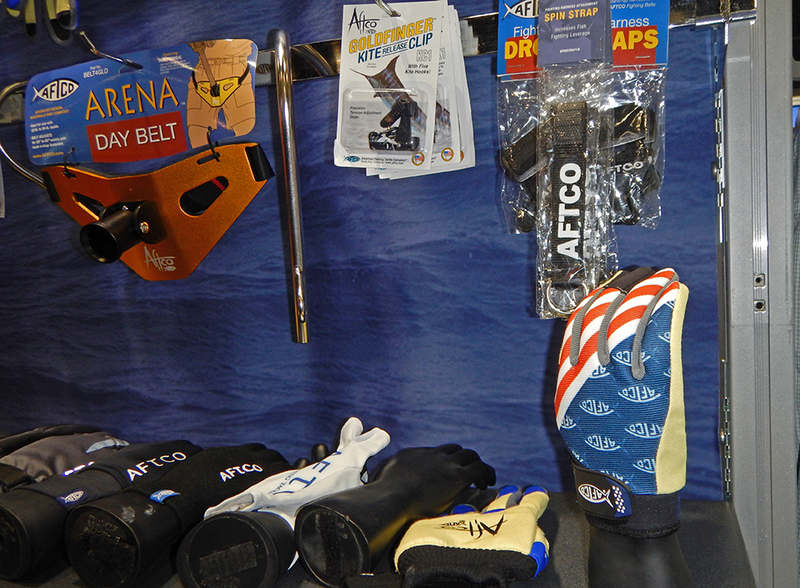 AFTCO also has a huge line up of fishing glove options for any weather. 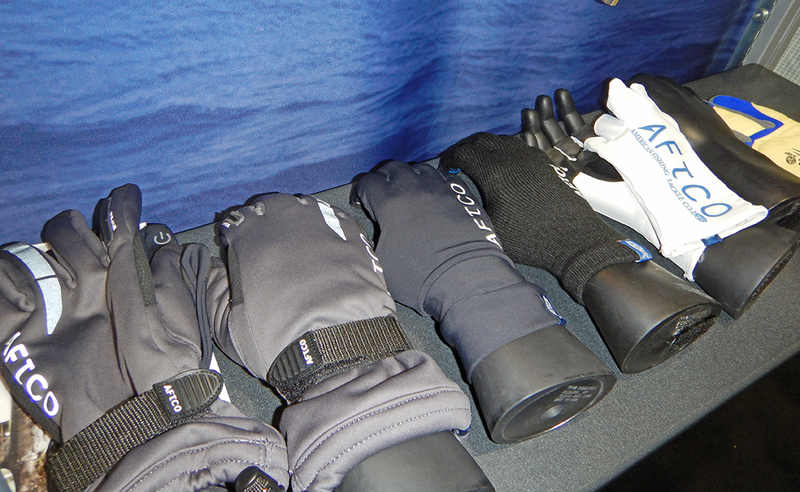 Fish fighting gloves are an AFTCO specialty. 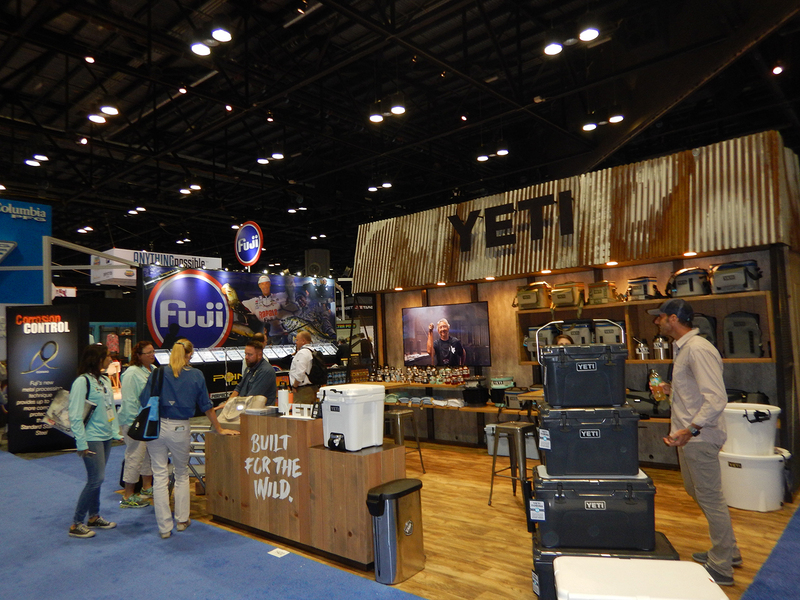 YETI continues their tradition of quality and innovation. 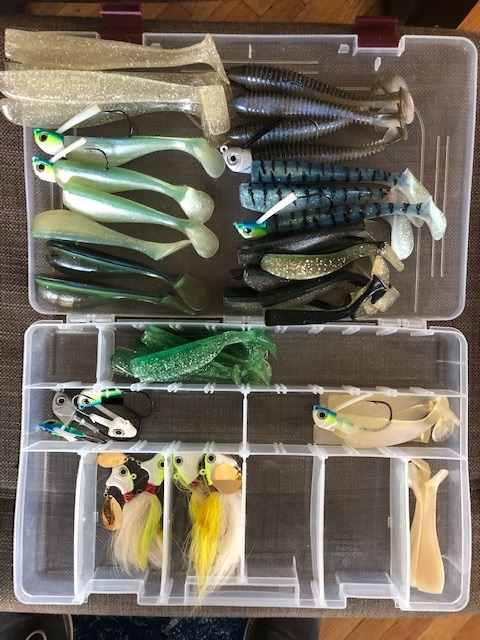 New Cuda tool offerings for 2019. 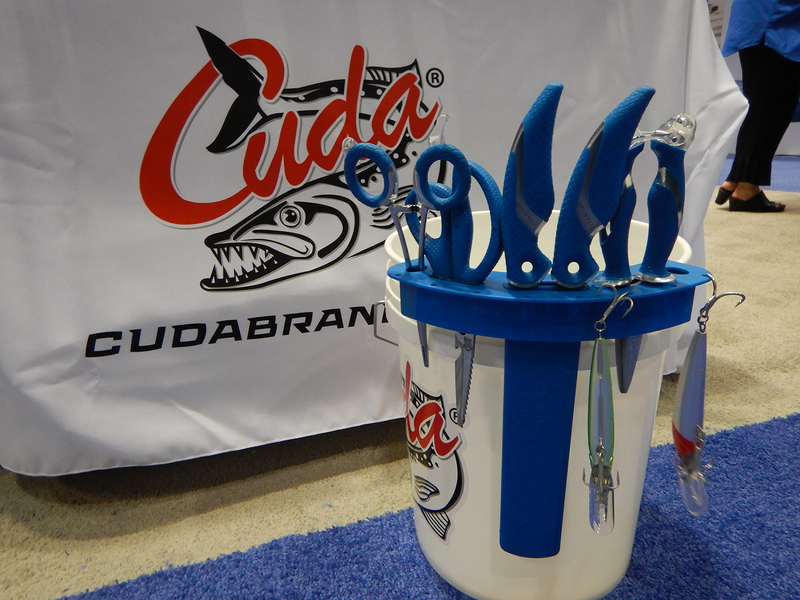 Check out the Bucket Tackle Center from Cuda. A must have. 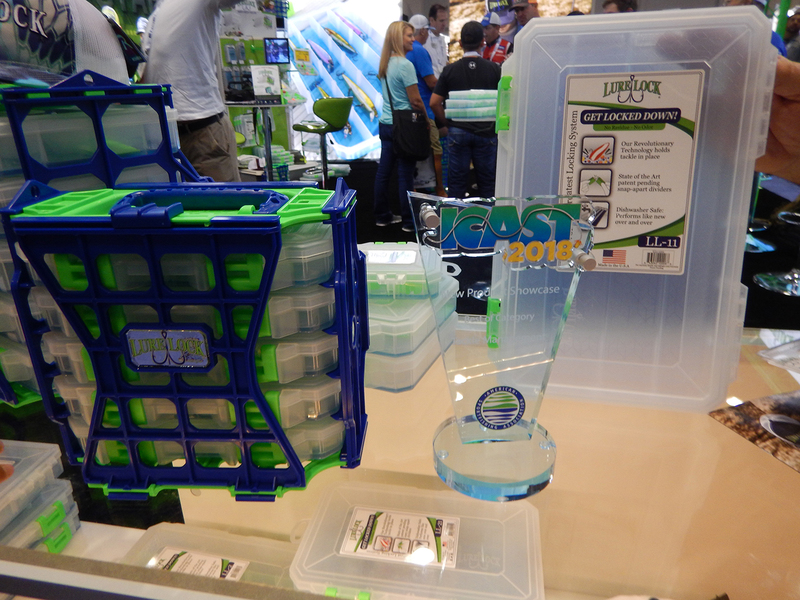 Lure Lock tackle systems won at ICAST too. A tacky base holds everything in place. 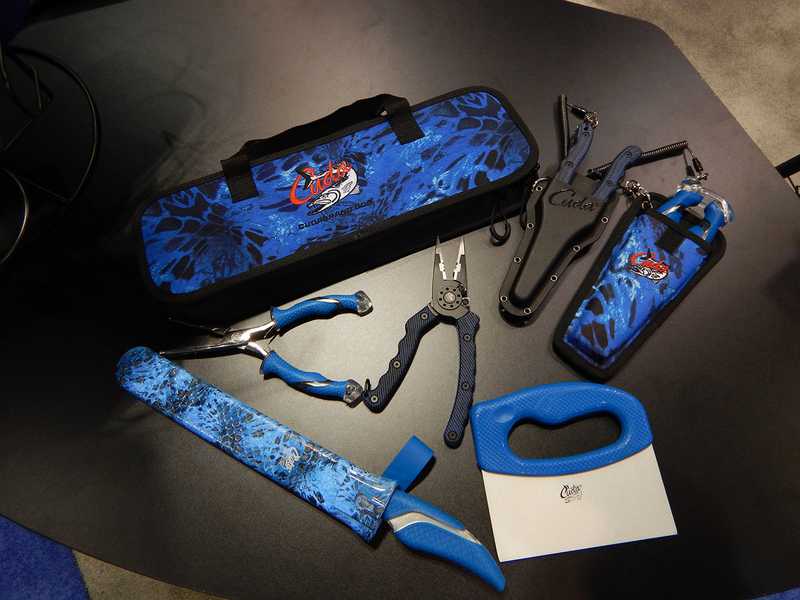 Gerber Tools introduced a great new variety of fishing tools built to last. 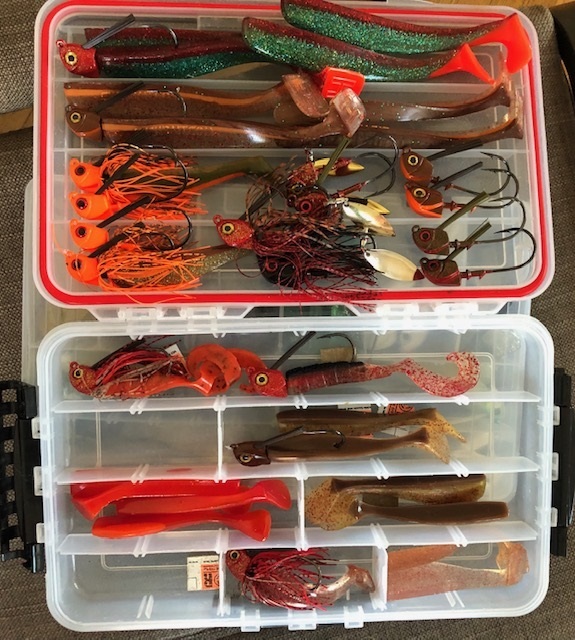 Boats are at the heart of many anglers’ activities and the diverse offering of boating accessories and must haves is hard to take in. 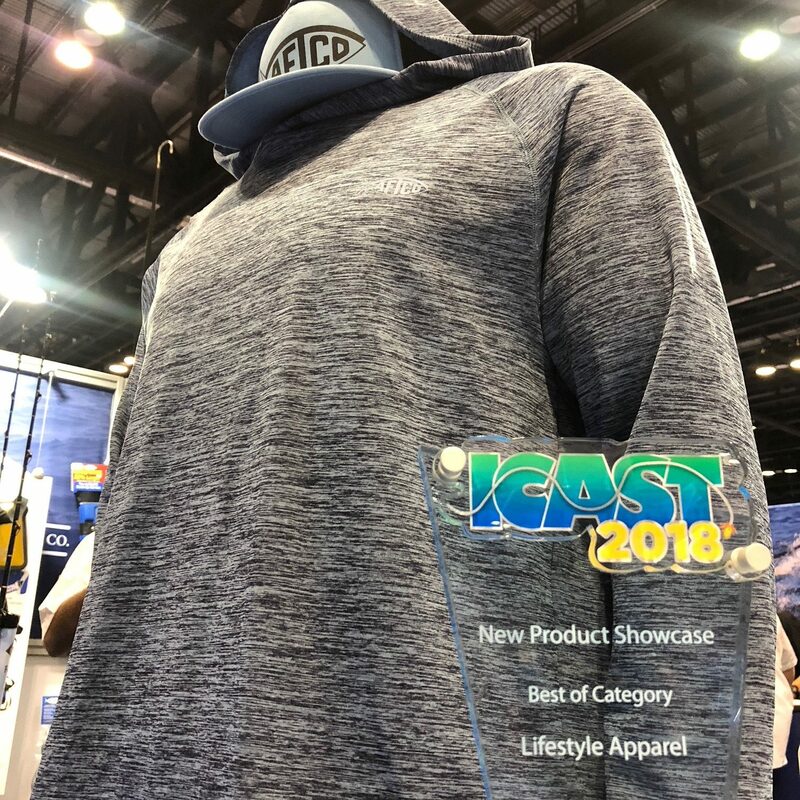 Here are just a few of the highlights from the show. 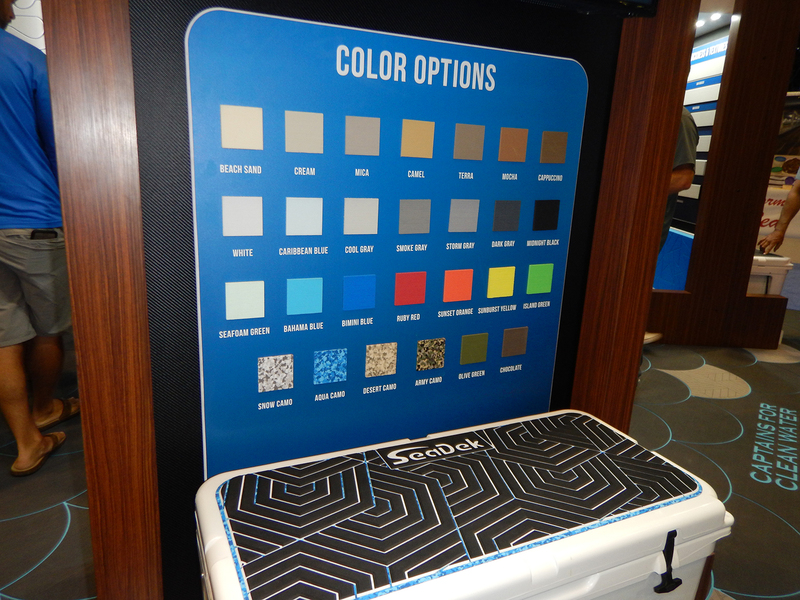 Seadek offers more colors and laser engraved patterns to their revolutionary foam. 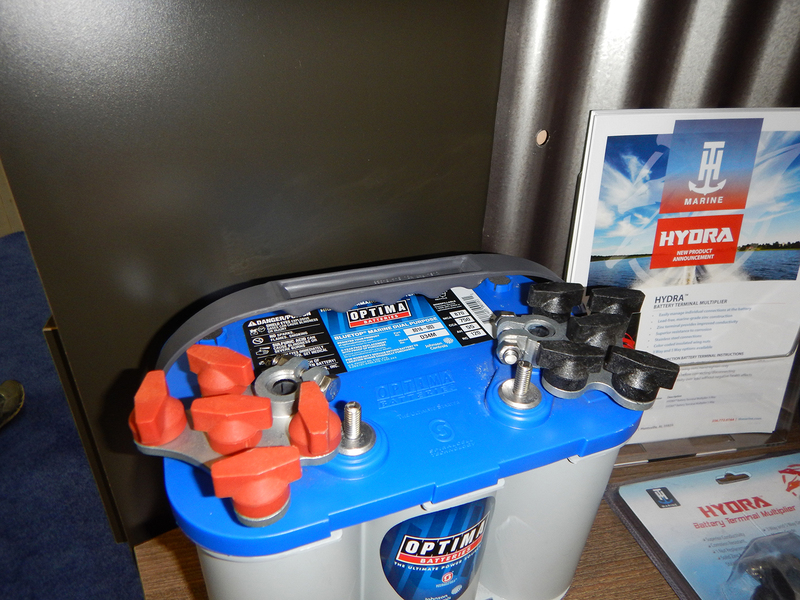 T&H Marine had this useful battery terminal multiplier. That is brilliant! 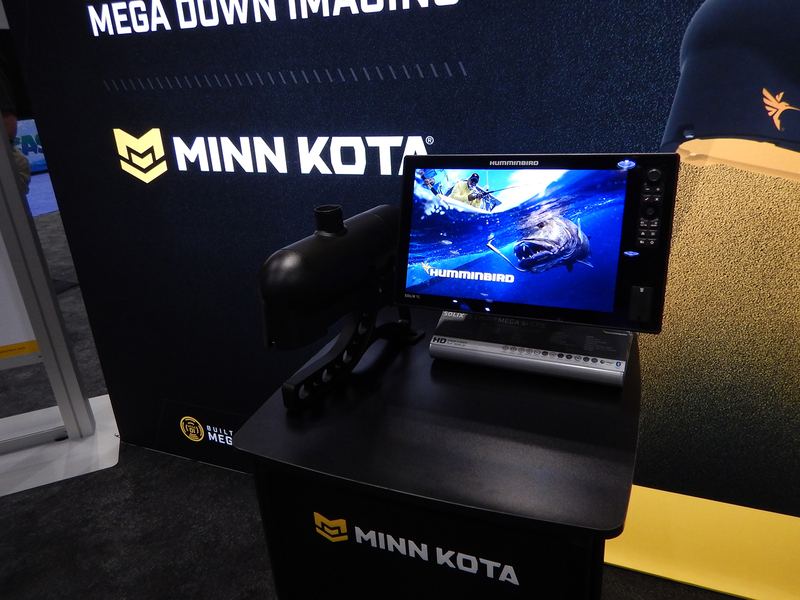 Hummingbird MEGA Down Imaging™ takes fish finding to another level. 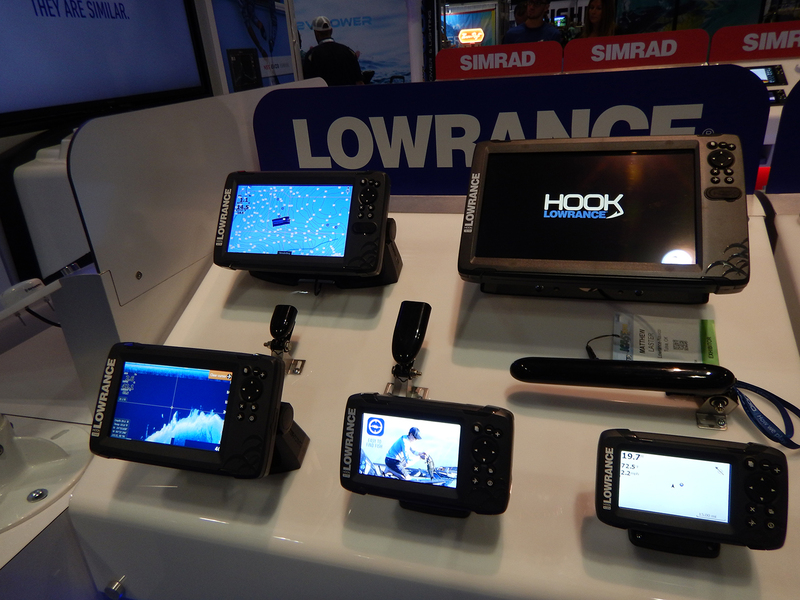 Lowrance is constantly bringing high-end technology to all of their product lines. 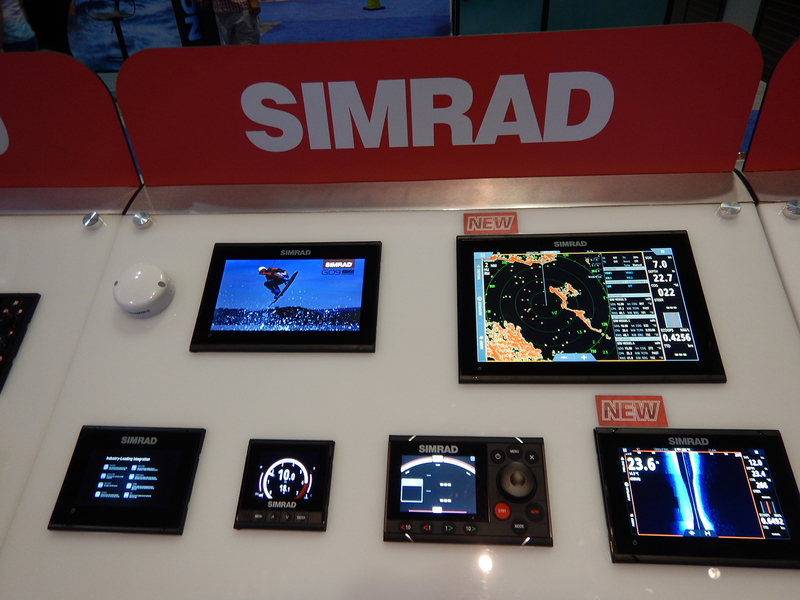 Simard is steadily releasing new technology to make boating easy and successful. 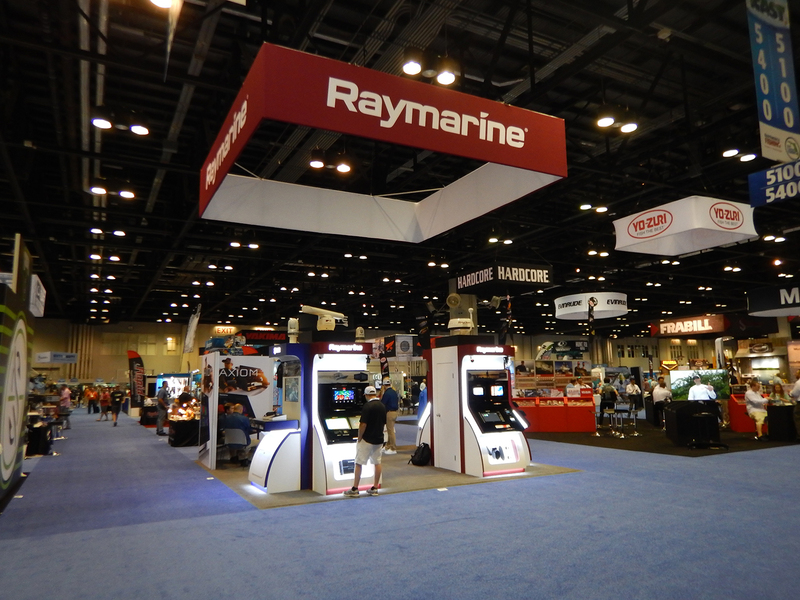 Raymarine introduced more upgrades to the flagship Axiom line. 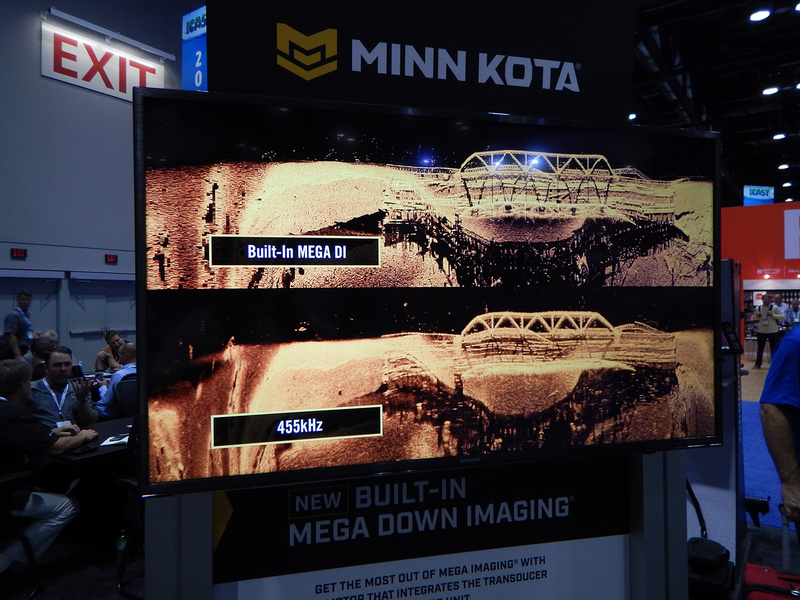 And of course, giant screens are coming! 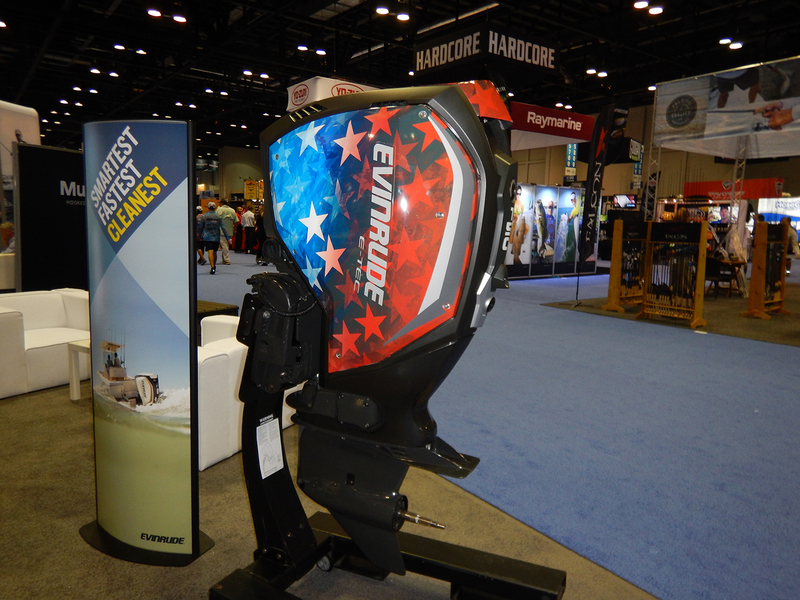 More than accessory, the Evidrude E-Tec G2 is state of the art. 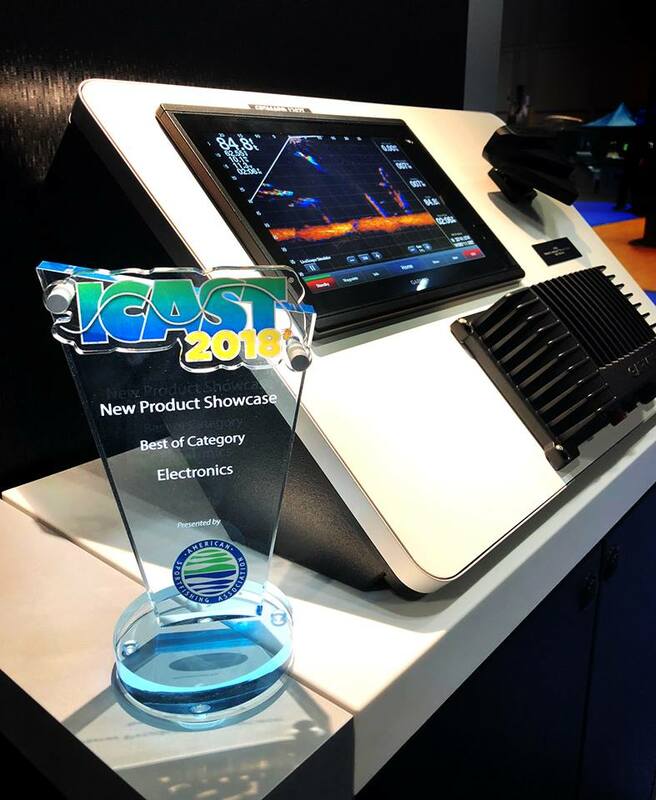 Garmin Panoptix LiveScope won “Best of Show” and "Best Marine Electronics" awards at ICAST 2018. 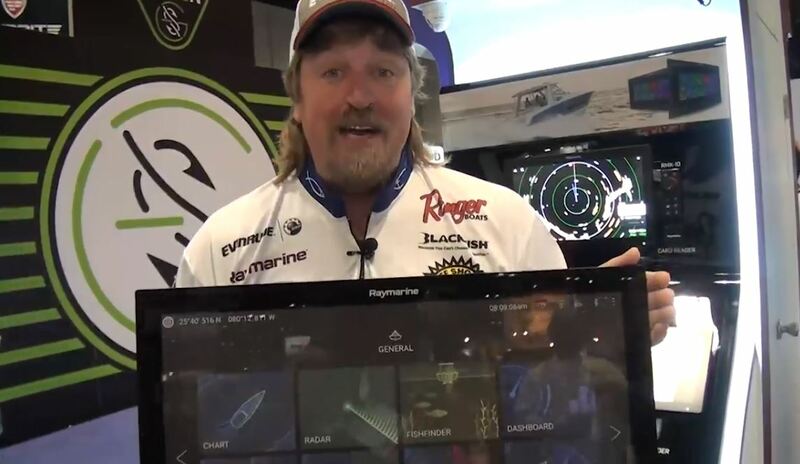 Bill Dance likes his Garmin too. 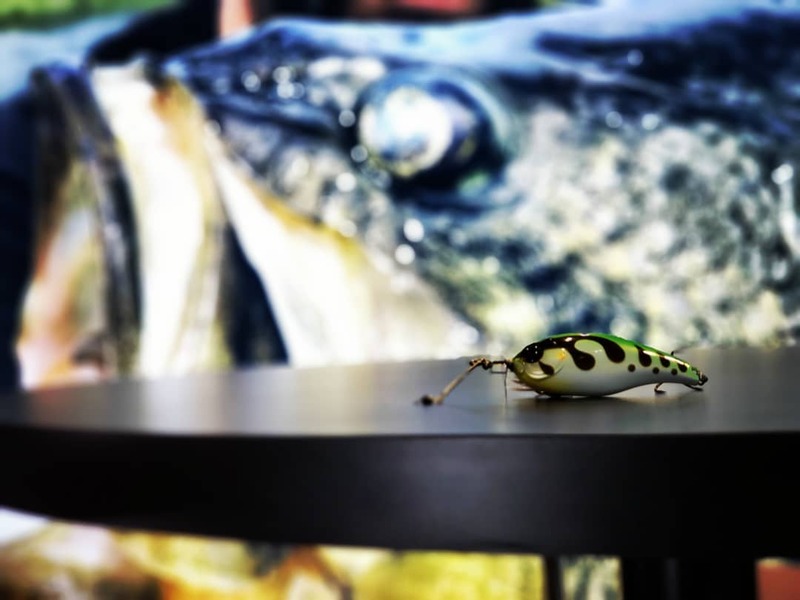 Rohdan is making an 84" shaft 36-volt trolling motor! awesome. 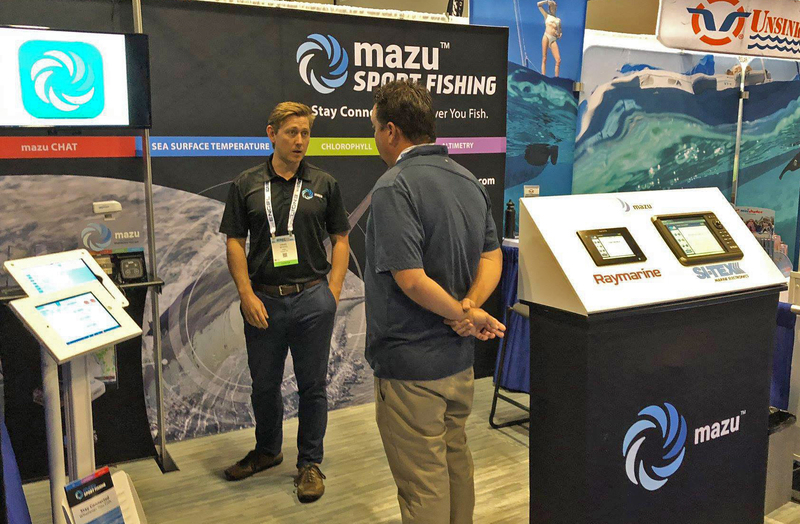 Mazu Sportfishing App and hardware makes satellite communication affordable. 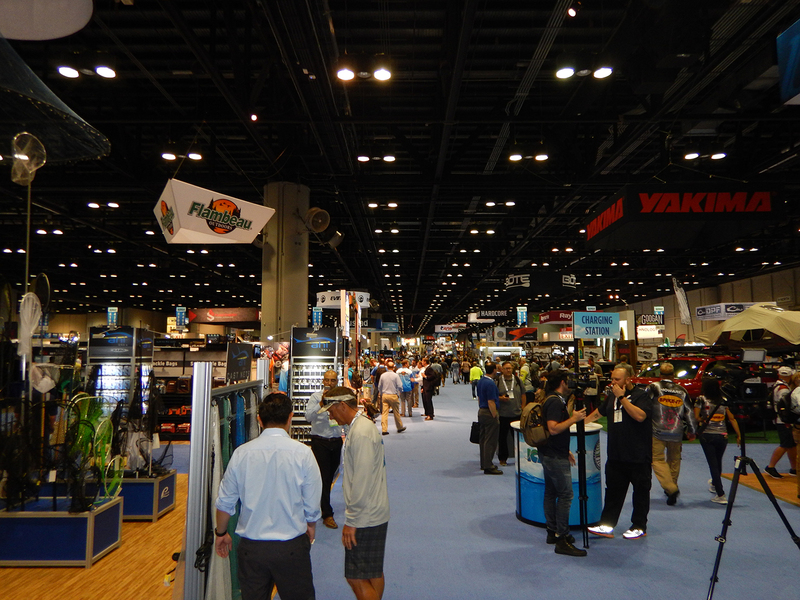 Again, another great time to be an angler is in the realm of outdoor apparel and footwear. Most people have become acutely aware of the dangers of too much sun. 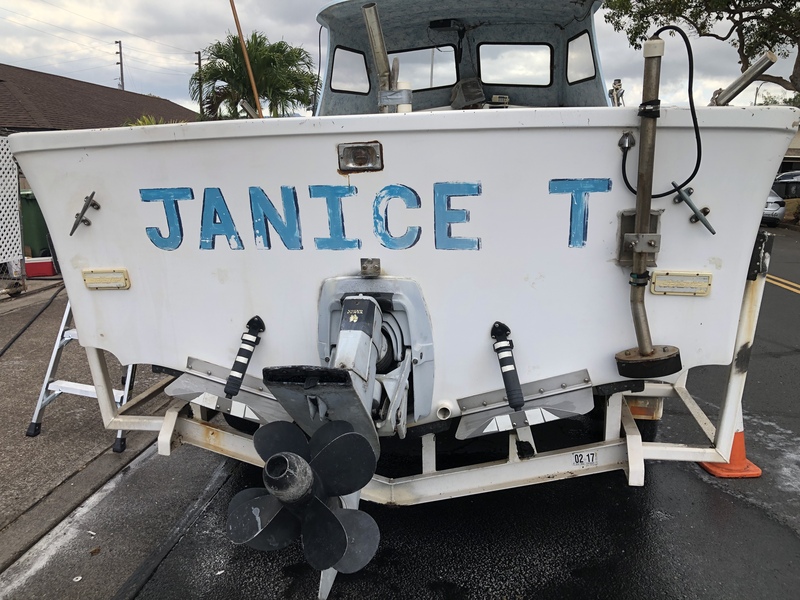 It used to mean wearing something hot and heavy, but not anymore. 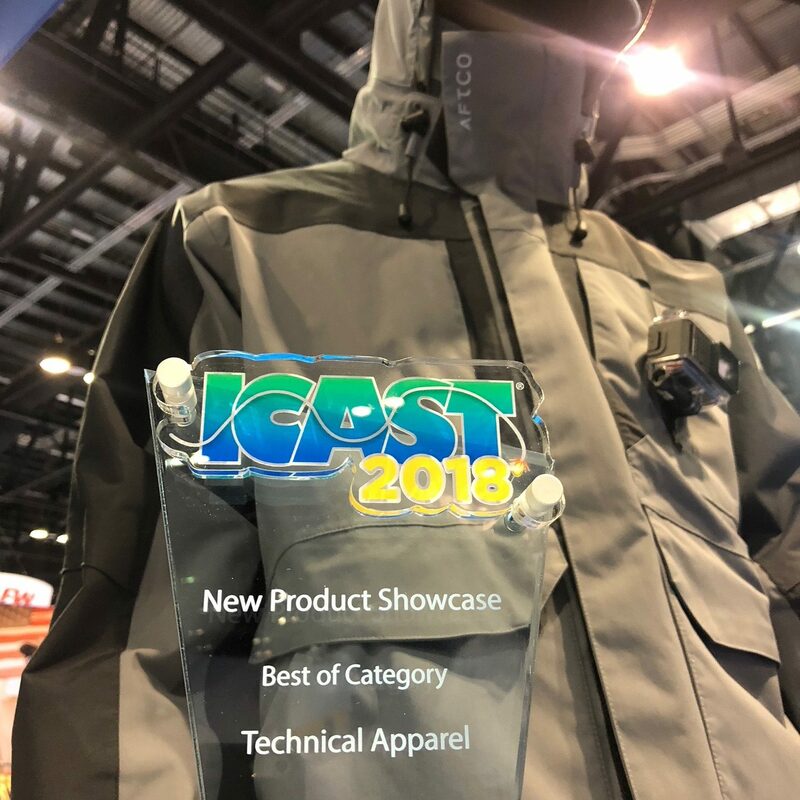 Hi tech fabrics and designs are making user-friendly performance clothing that won’t become a sweat box or feel like your fishing in a blanket. 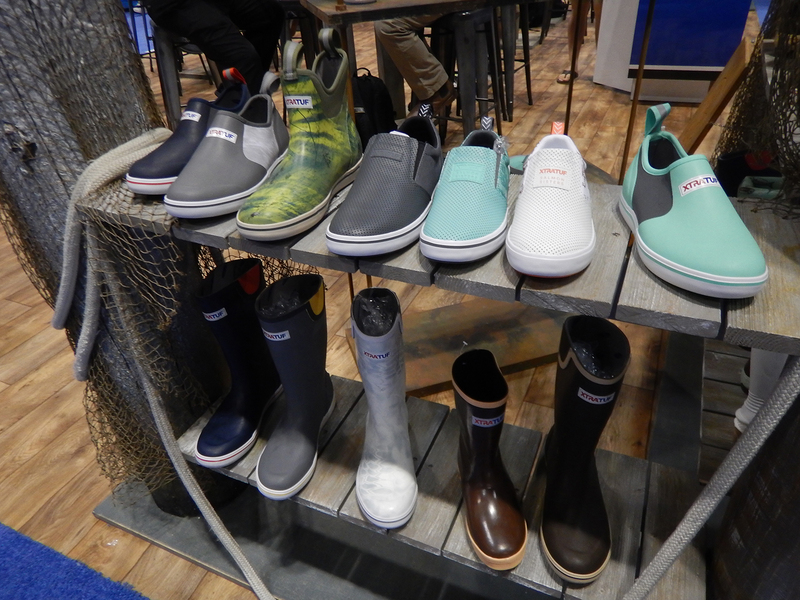 The same goes for modern footwear be it boots or boat shoes. There is a pair made for you with arch support and traction as standard features. 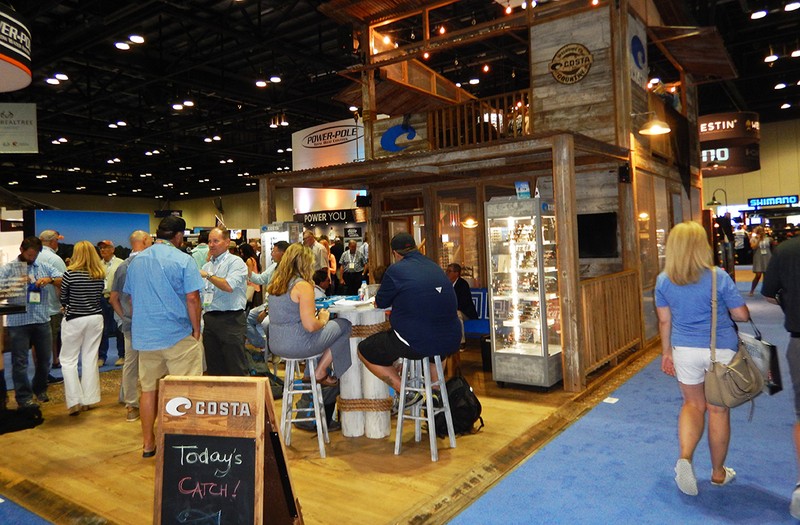 The Costa booth is an ICAST hub and their new glasses on display are a highlight. 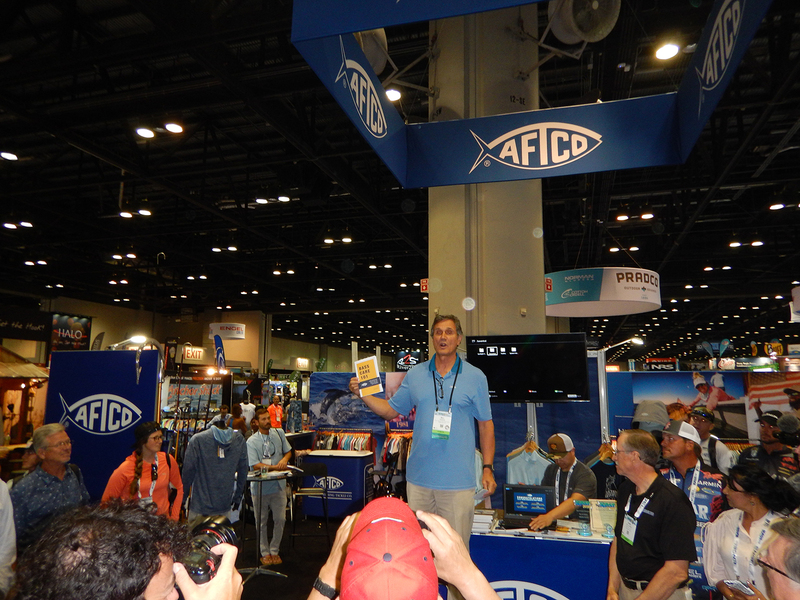 AFTCO's own Bill Shedd shared copies of the new book about his father's career and passion for the ocean. 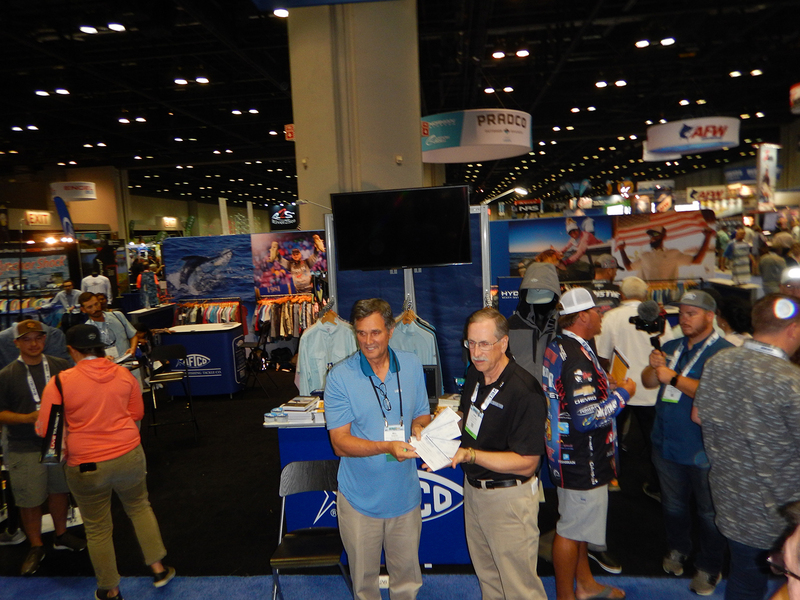 The Shedd passion for fishing continues as AFTCO presented checks to BASS for various programs. 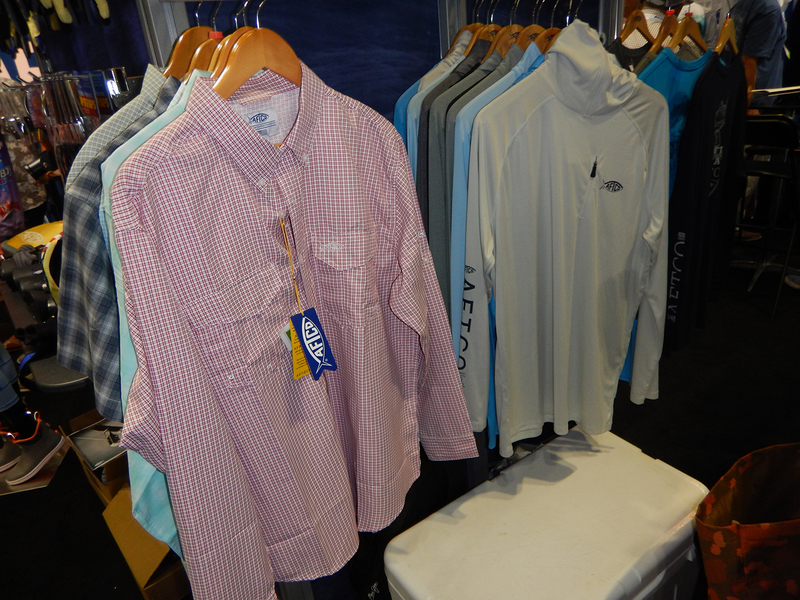 AFTCO specializes in great looking and performing apparel. 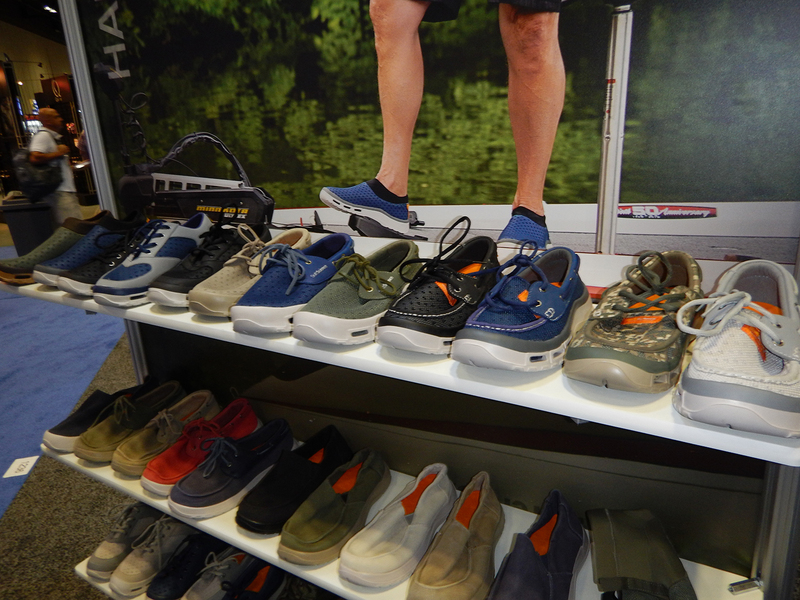 Xtratuf offers comfortable footwear in lots of new styles. 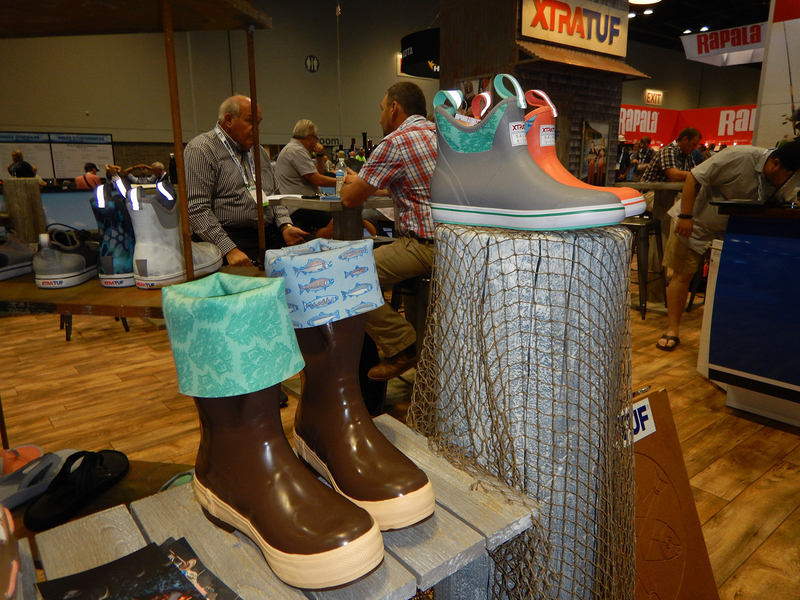 Xtratuf has boots for all and lots of new styles and colors. Soft Science cured my foot pain. Try it! 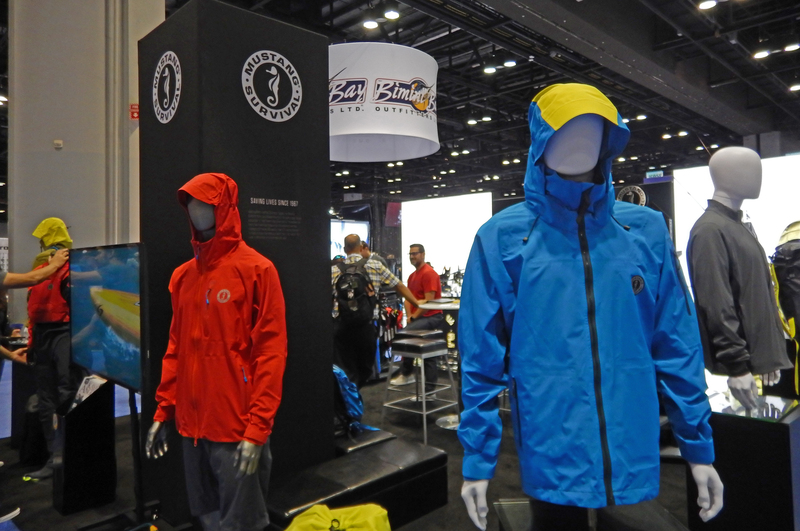 Mustang has a variety of new offerings for bad weather and life saving innovations. 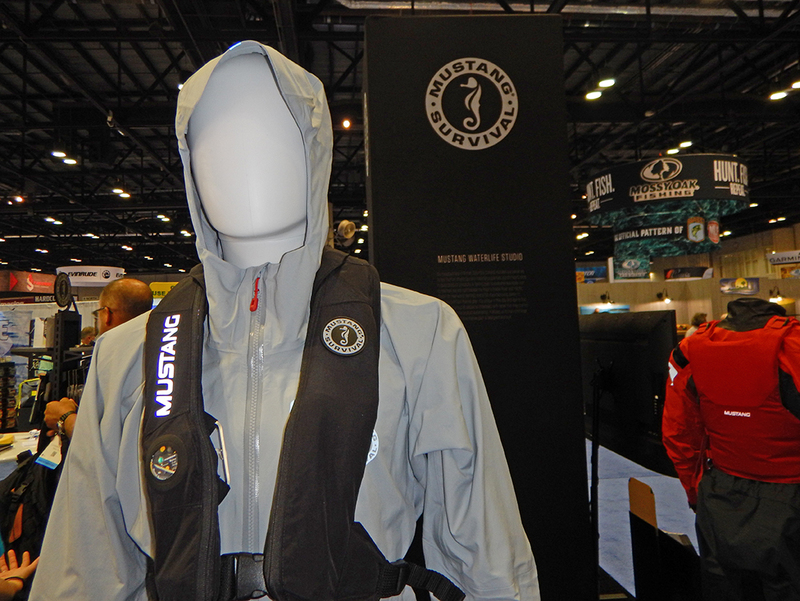 Mustang inflatable lifevest makes being safe very comfortable. 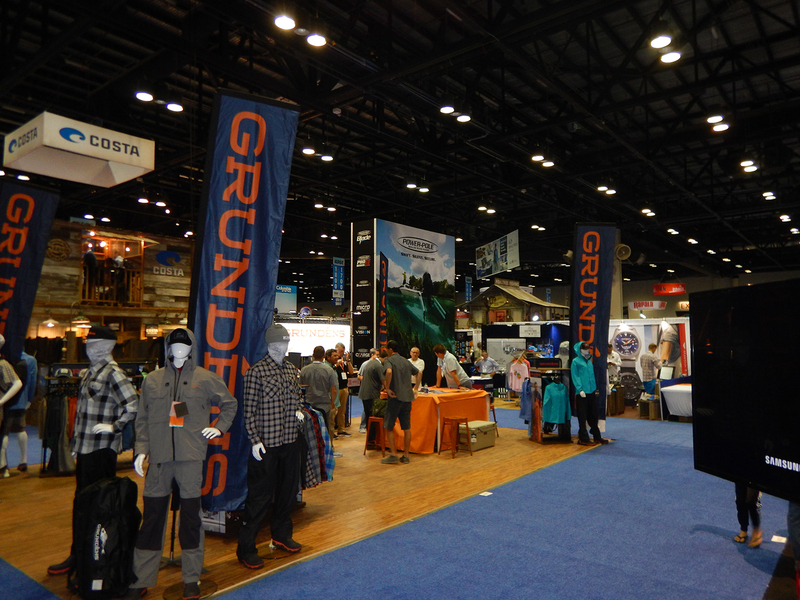 Grundens offers foul weather gear and sportfishing apparel too. 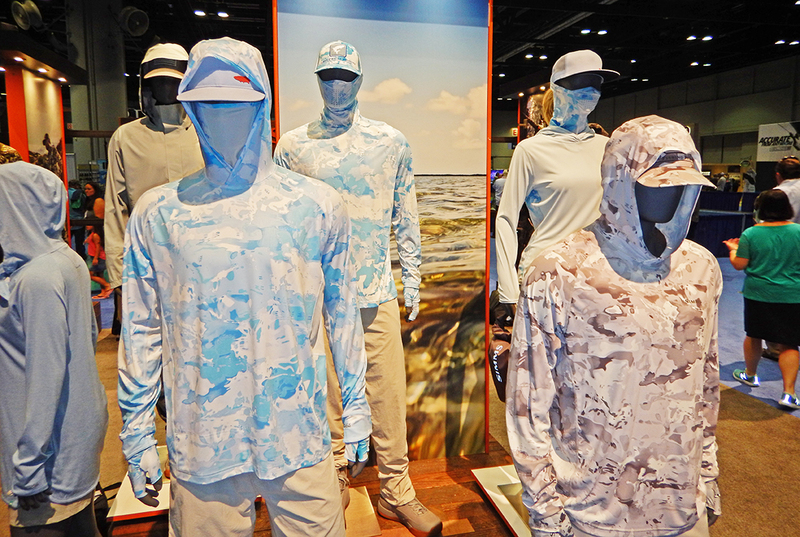 Simms has launched a full line of marine-focused performance apparel. 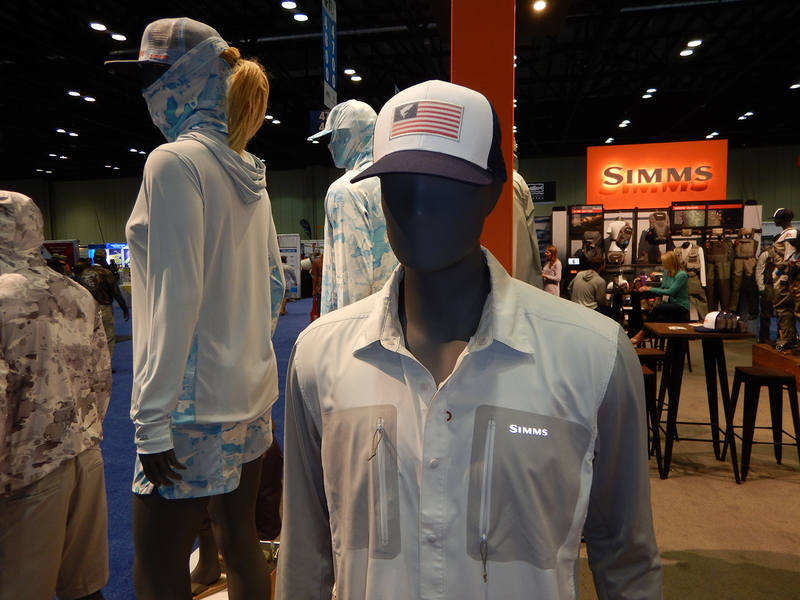 Hide from the sun and feel good doing it with Simms. 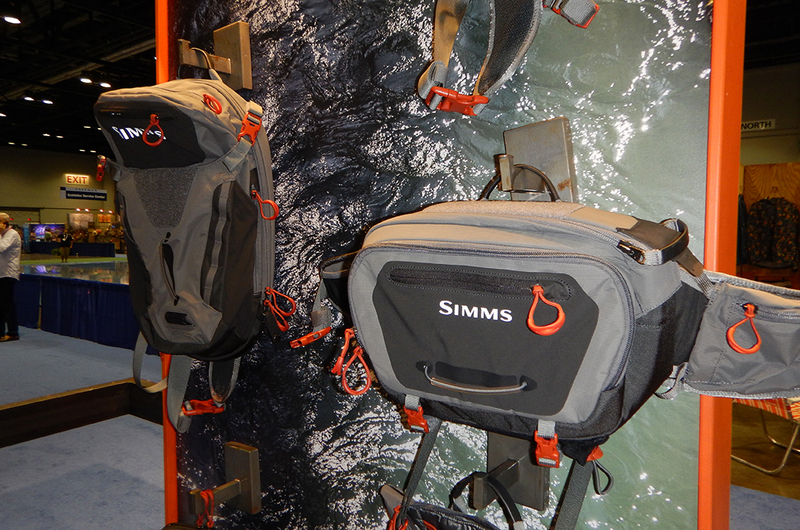 Simms has a full line accessories for anglers. 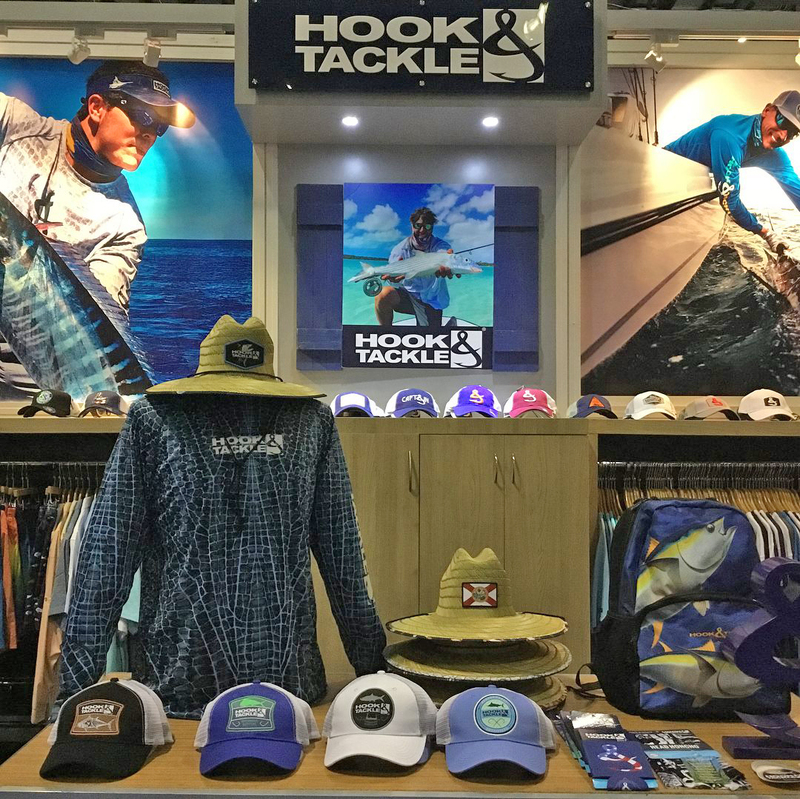 Hook & Tackle has a great variety of performance apparel and accessories for fun in the sun. 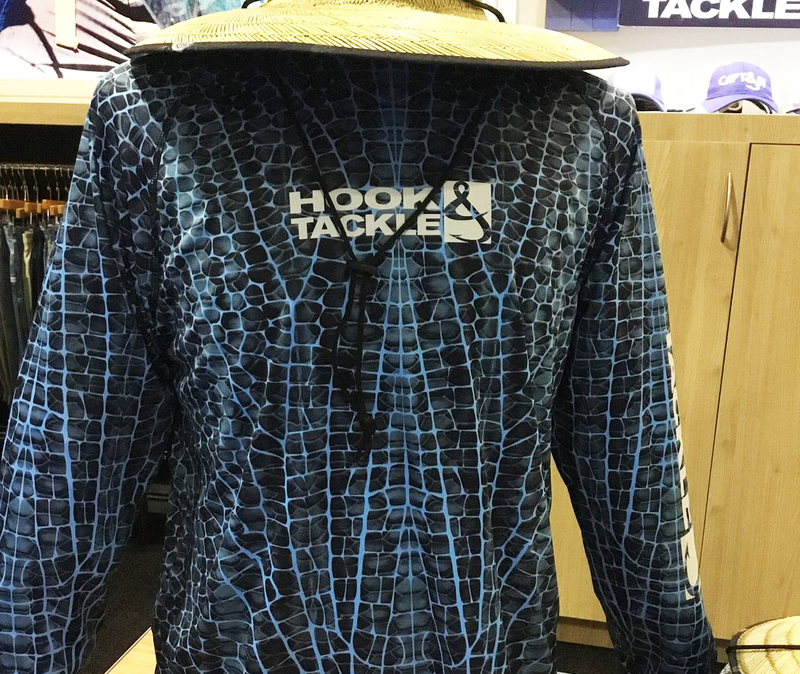 Hook and Tackle specializes in stylish protection from the sun. 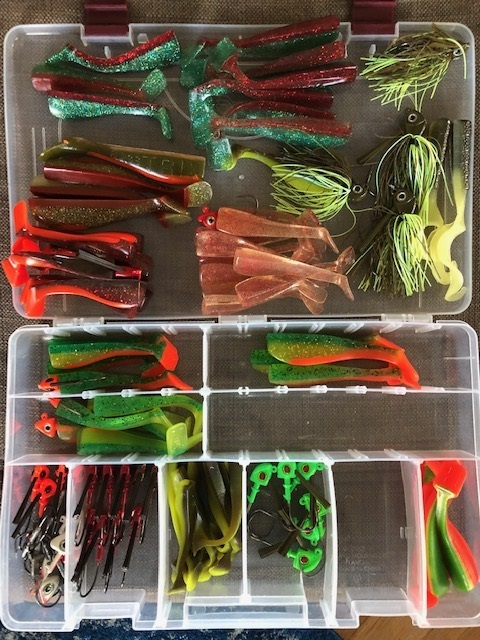 6 Tips for Crabbing: K.I.S.S.